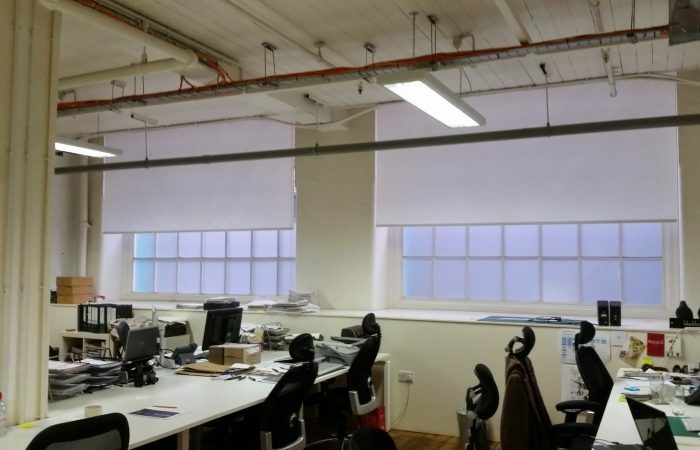 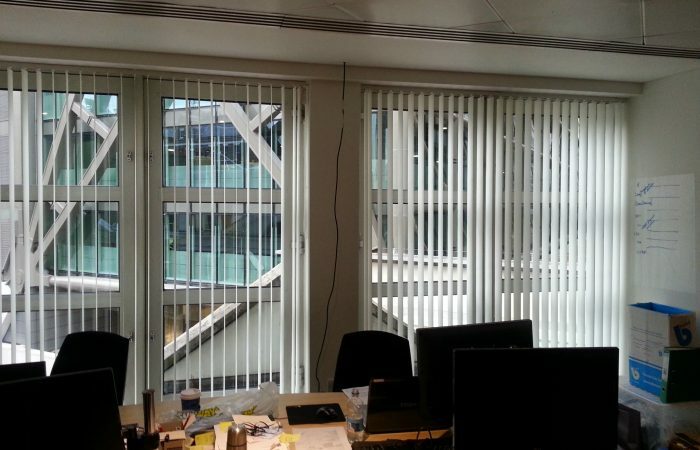 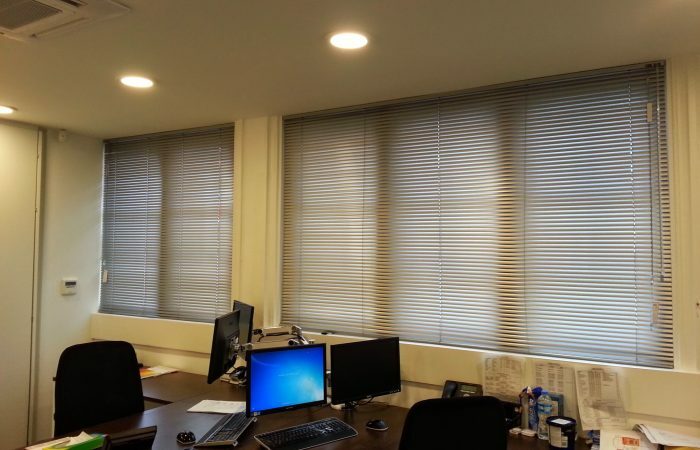 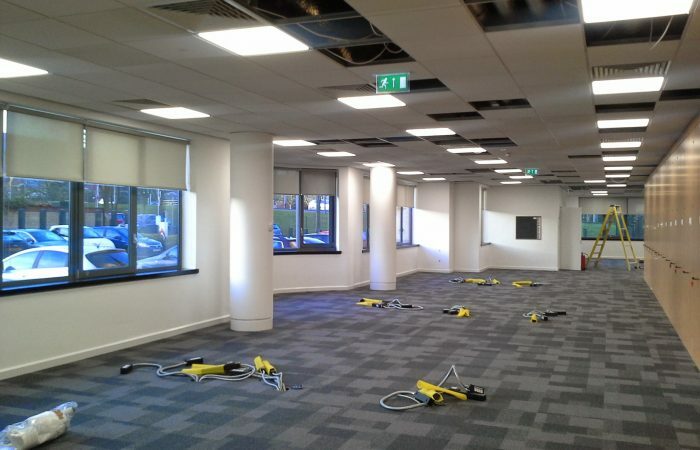 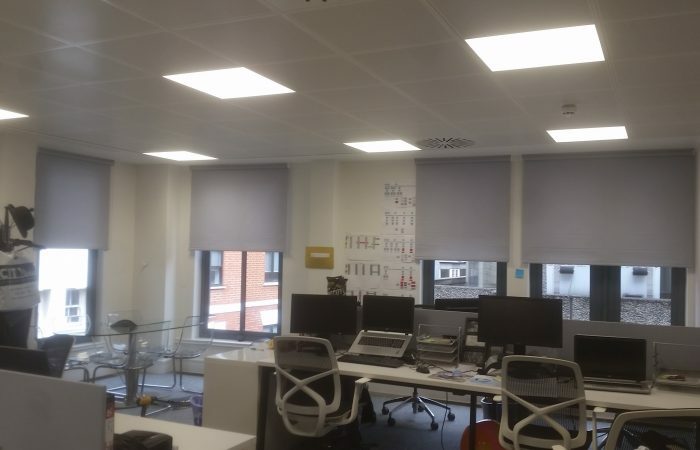 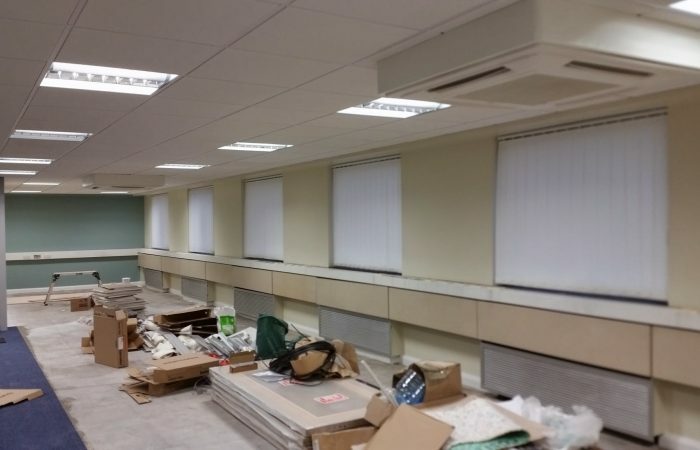 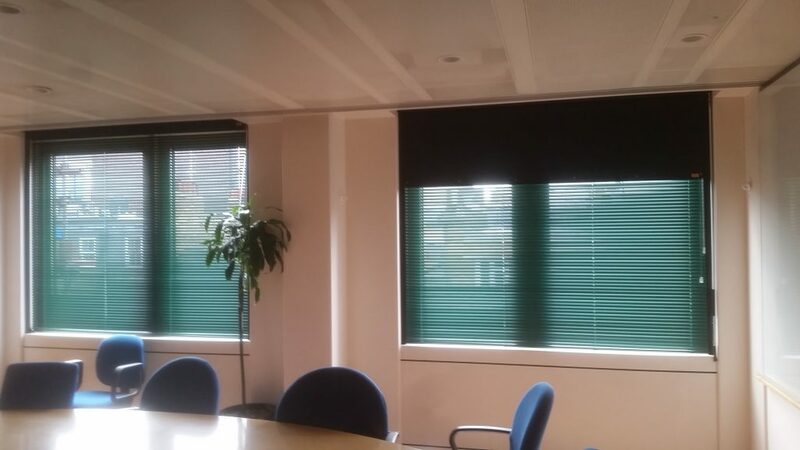 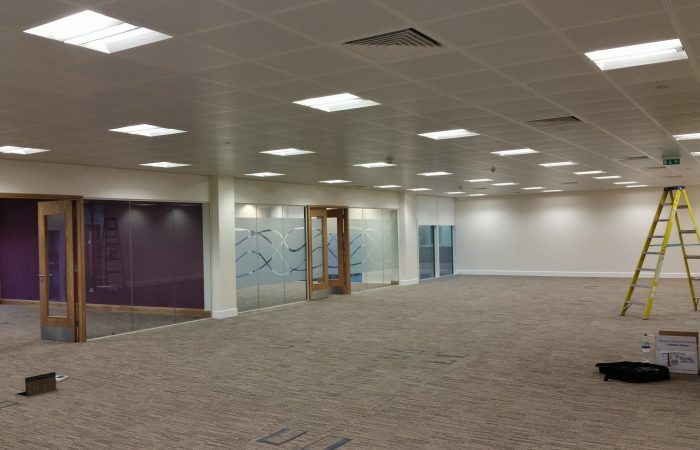 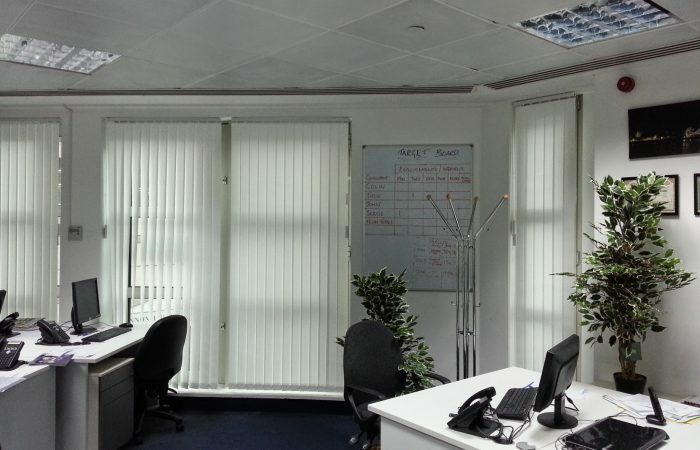 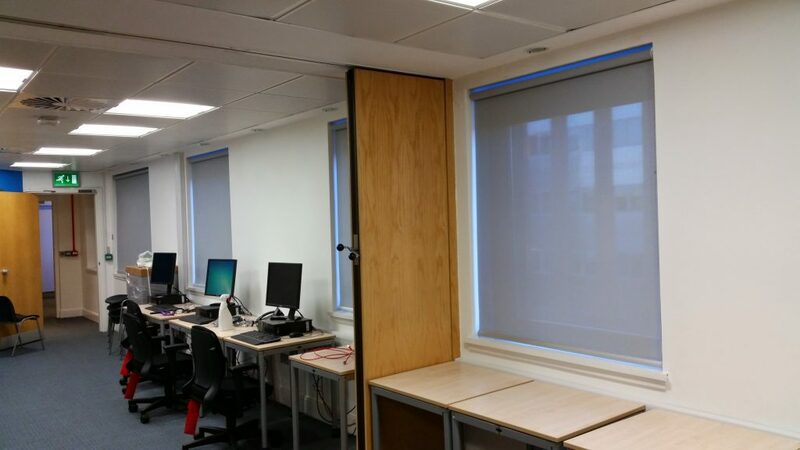 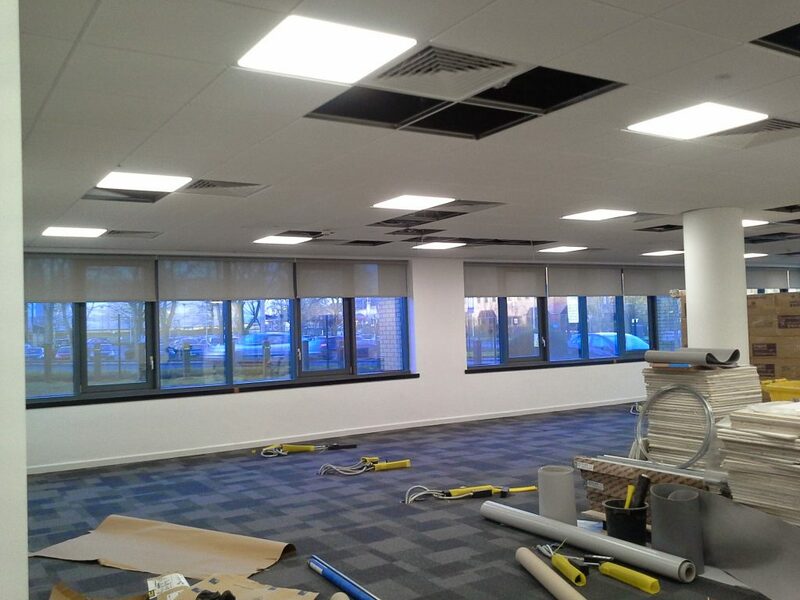 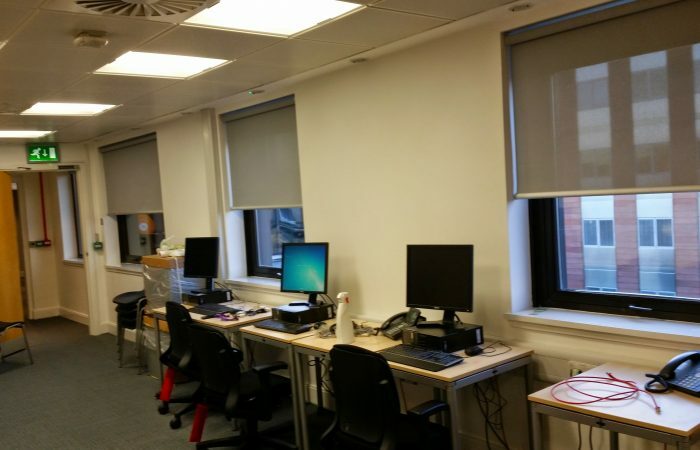 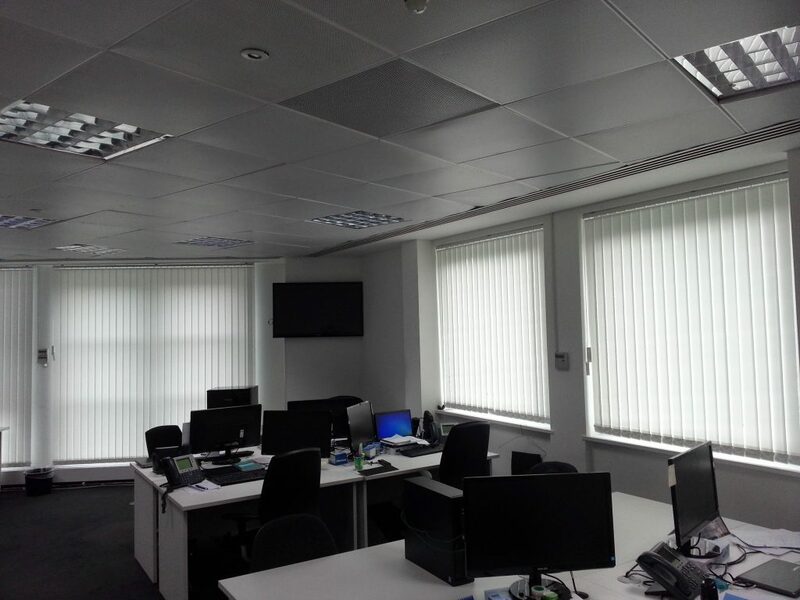 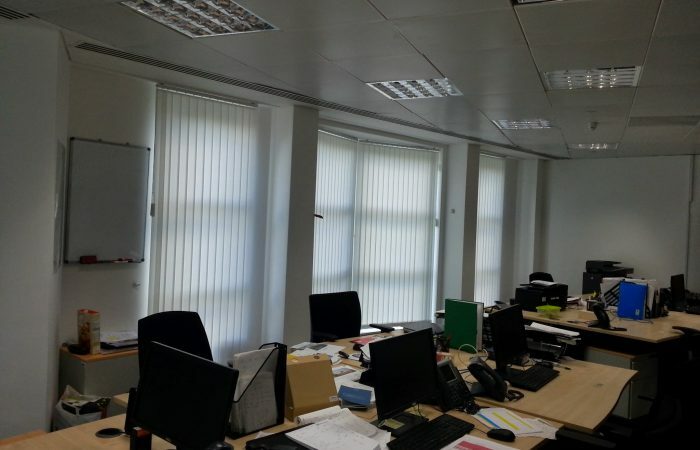 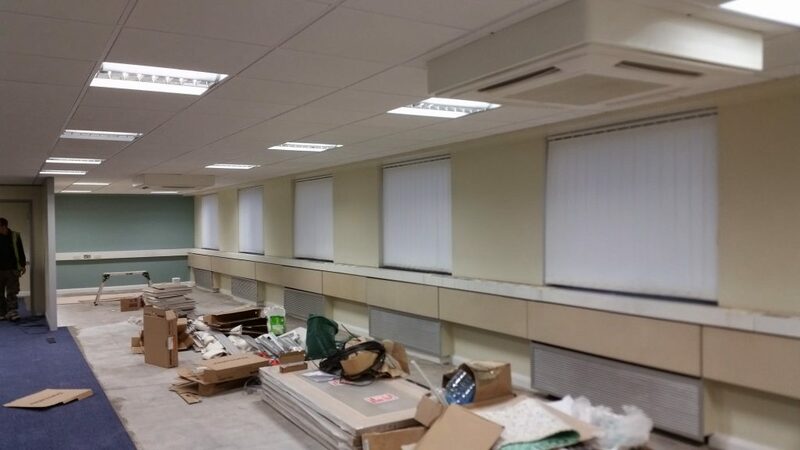 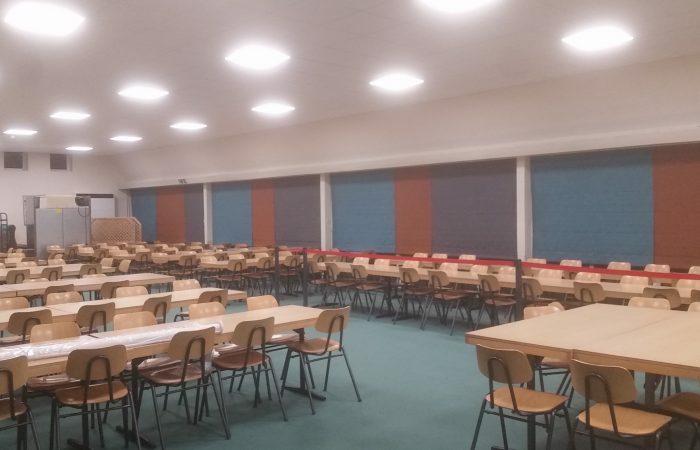 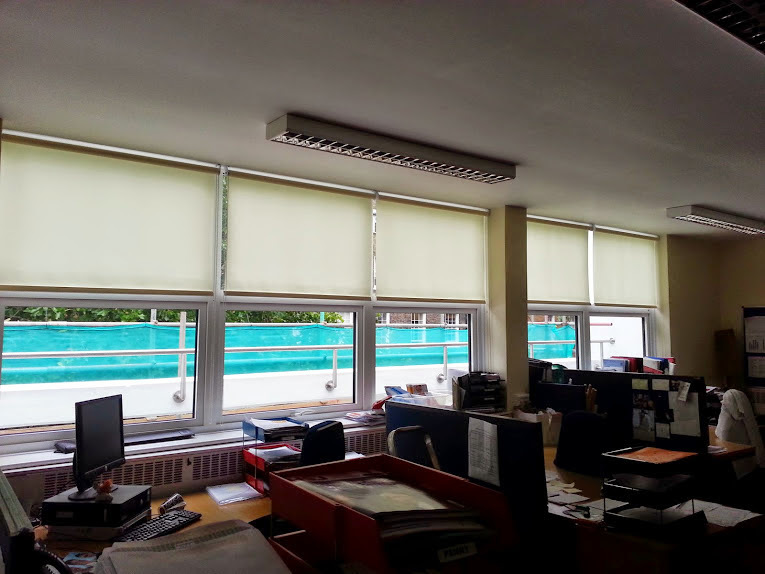 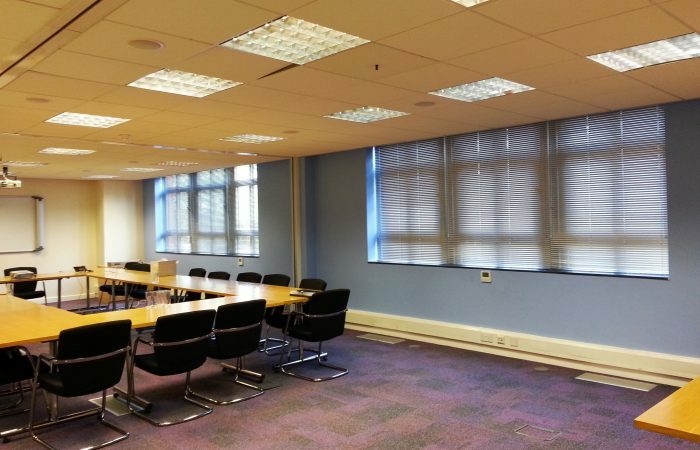 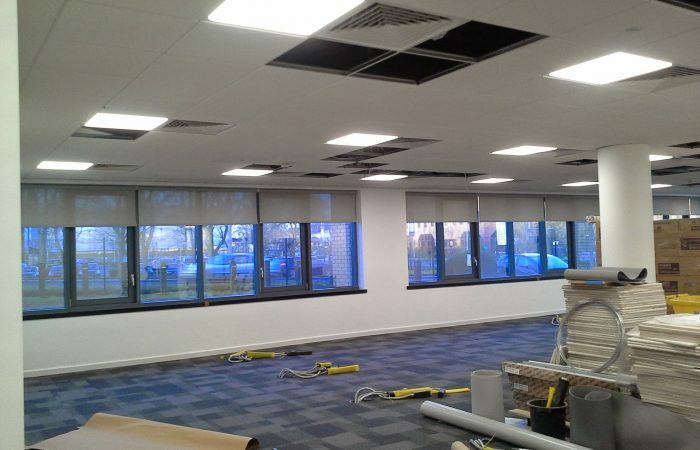 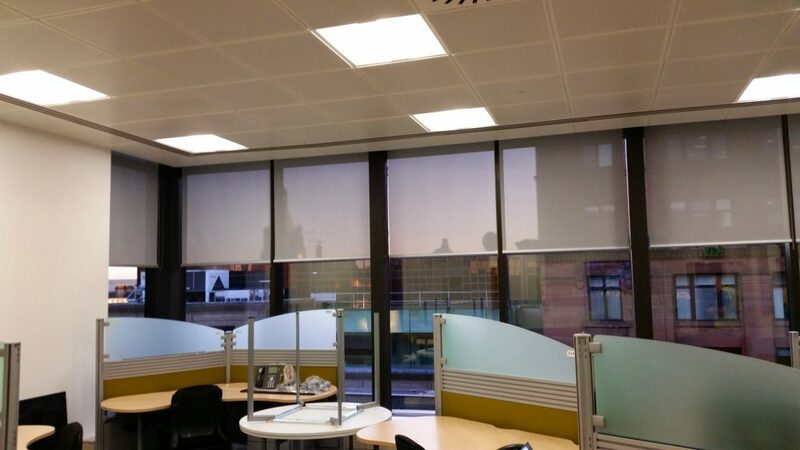 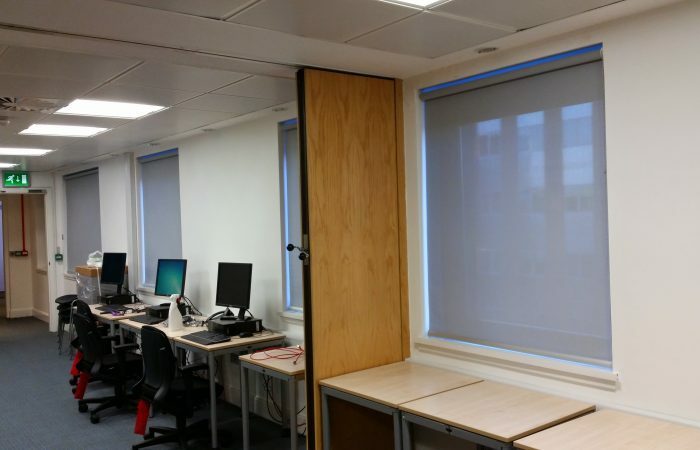 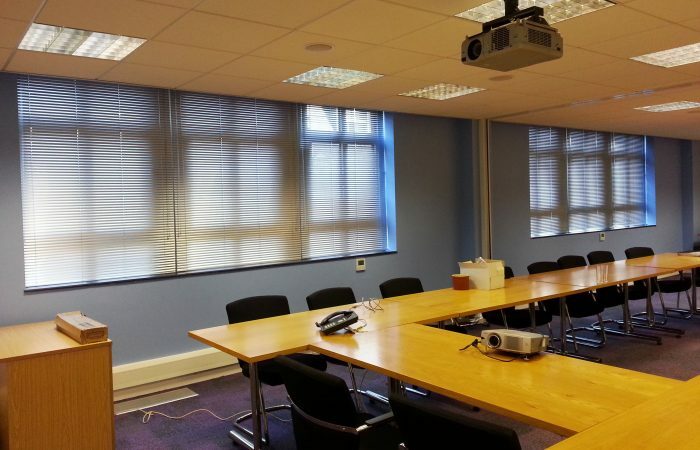 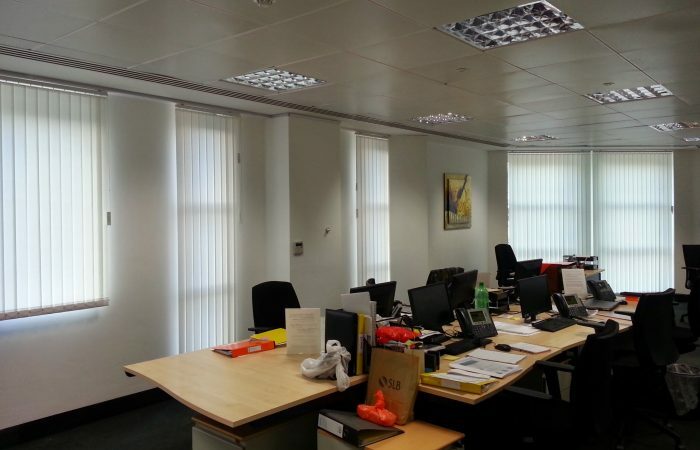 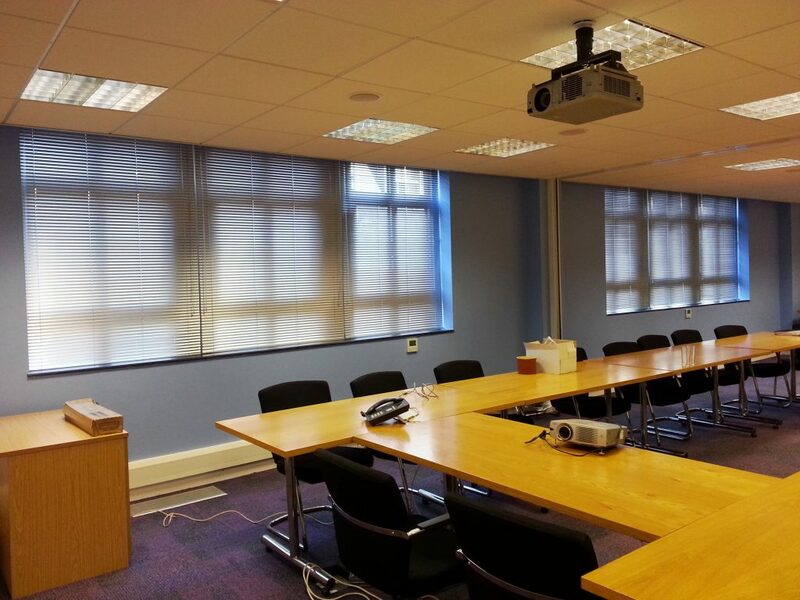 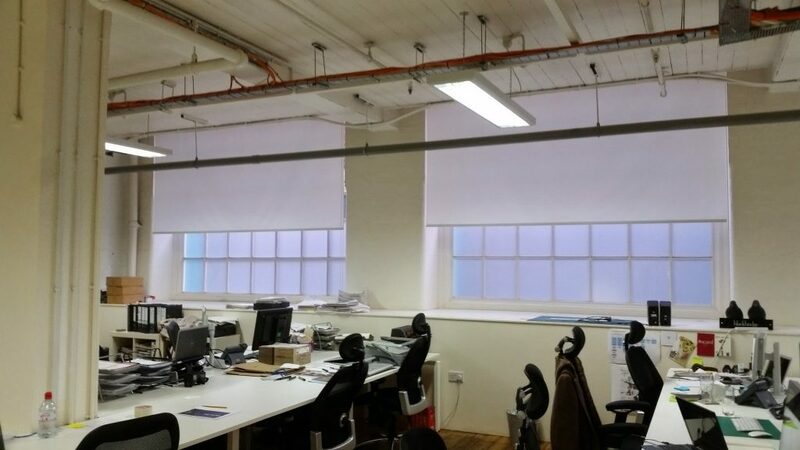 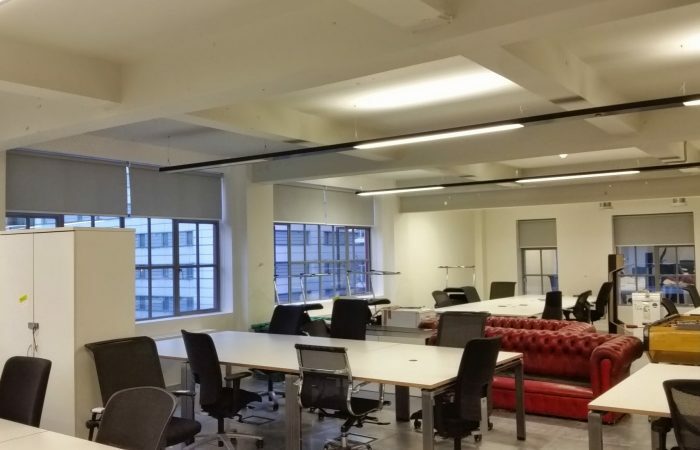 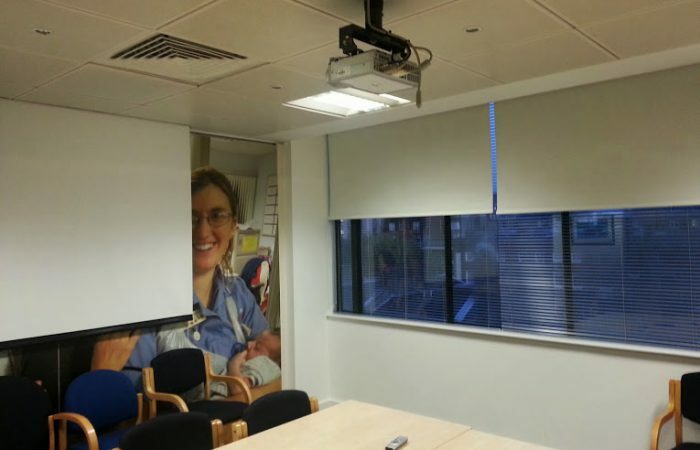 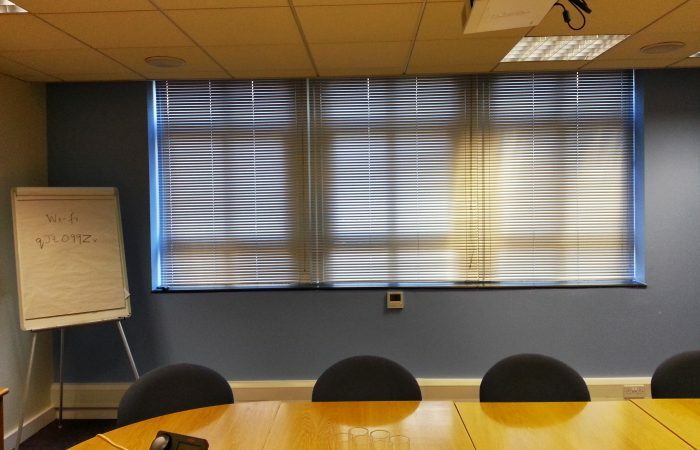 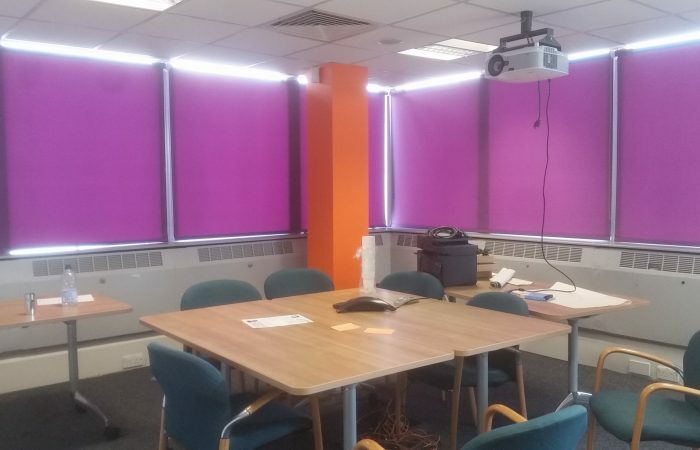 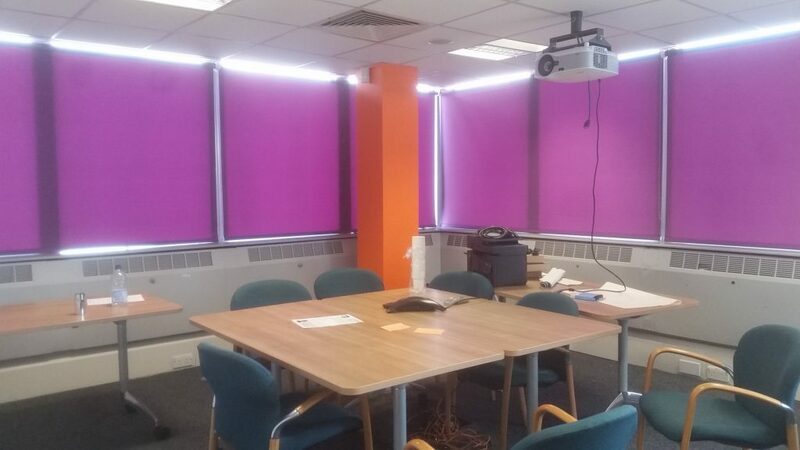 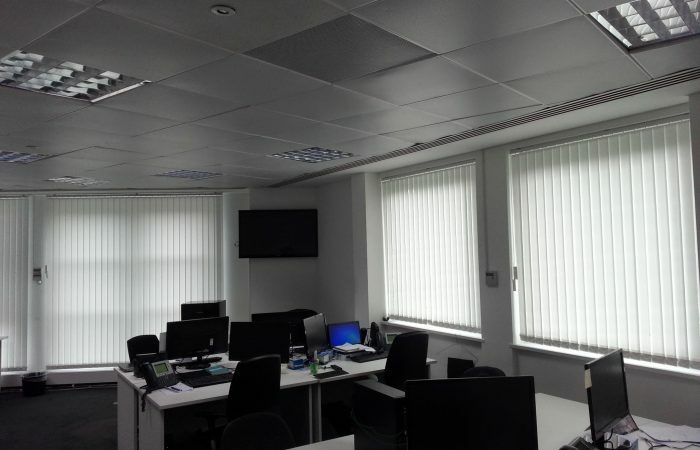 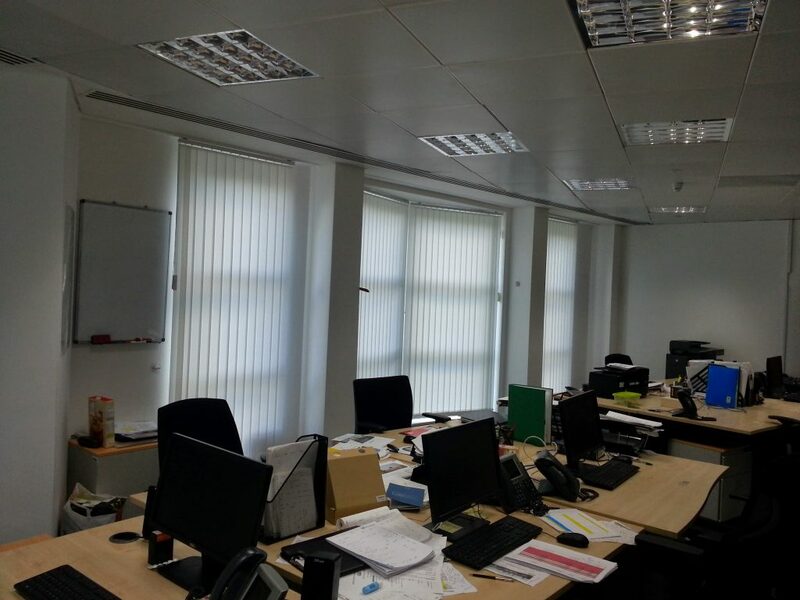 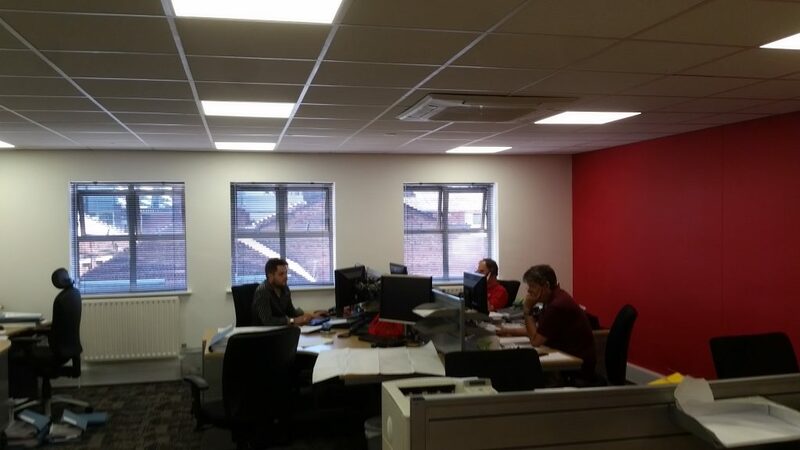 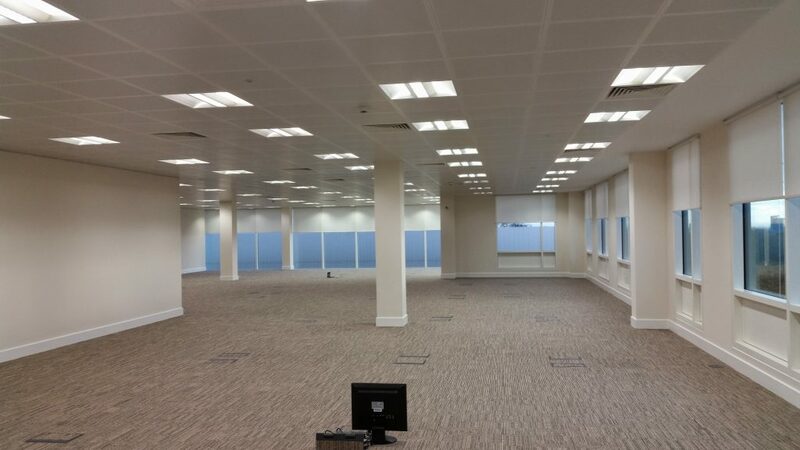 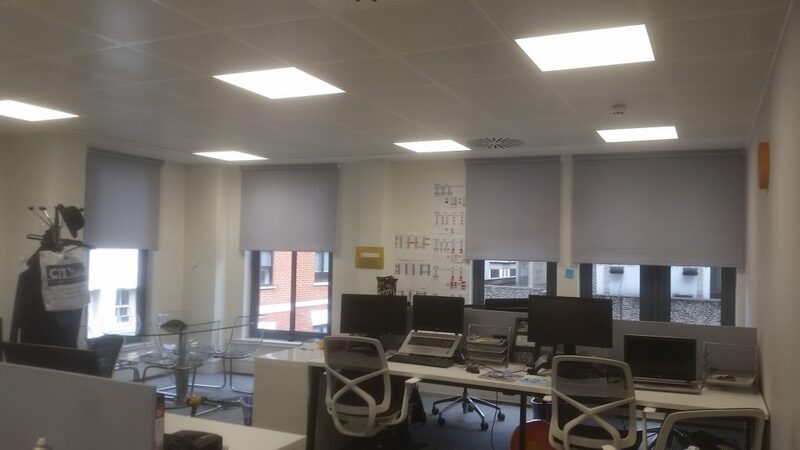 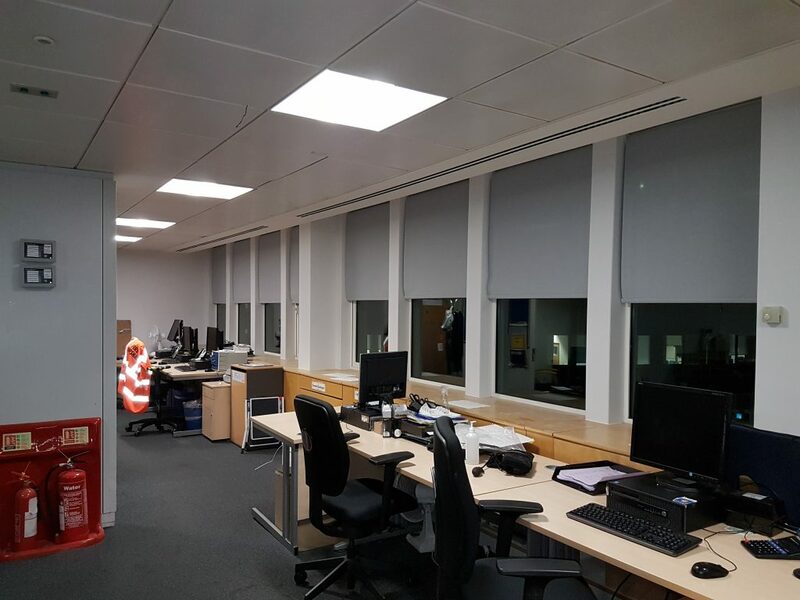 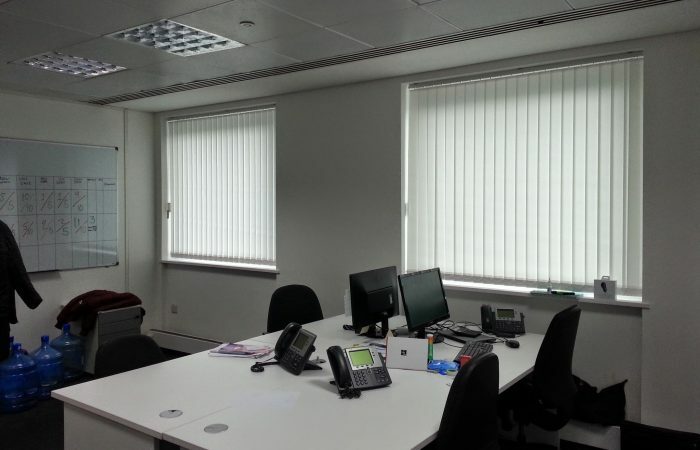 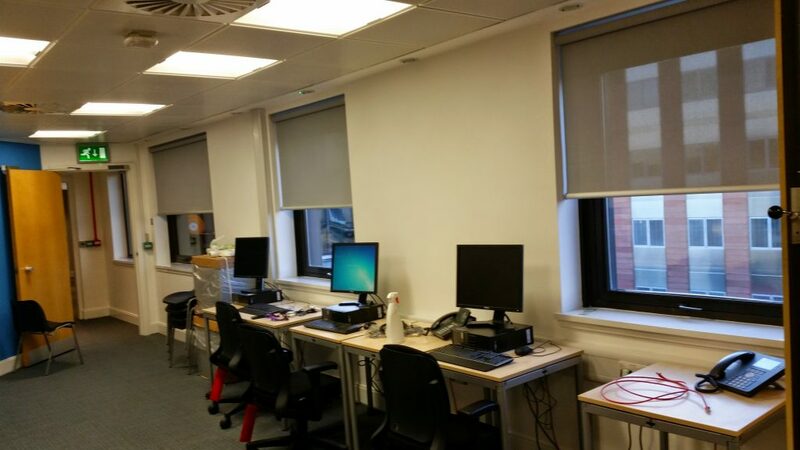 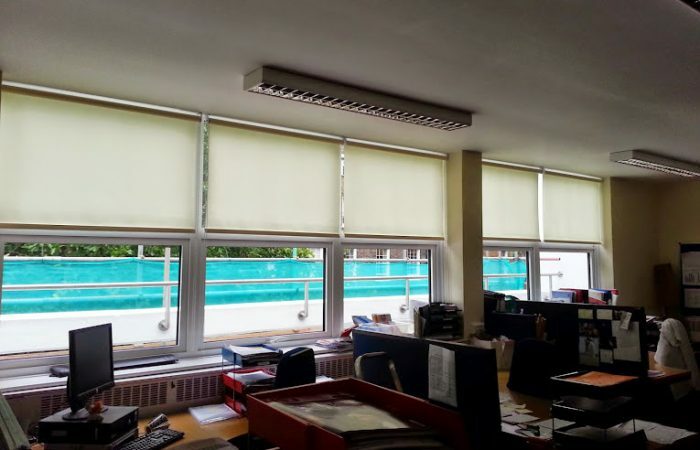 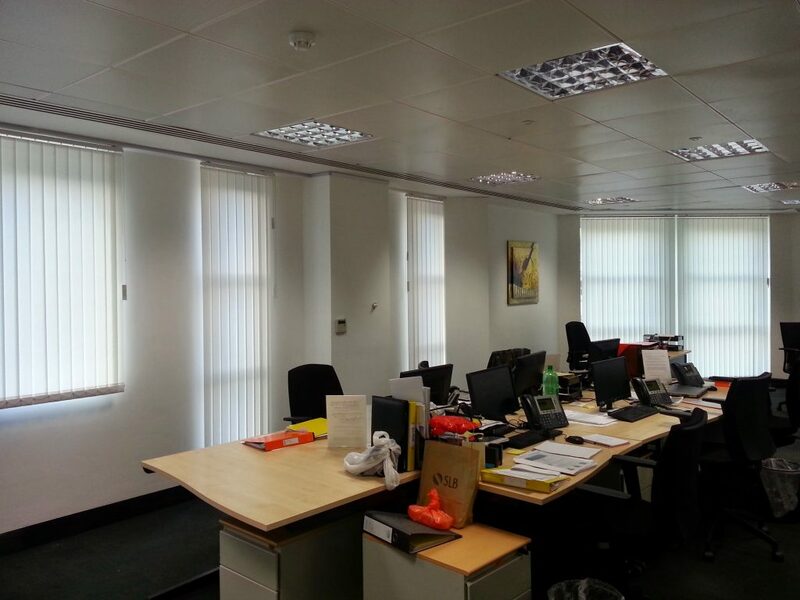 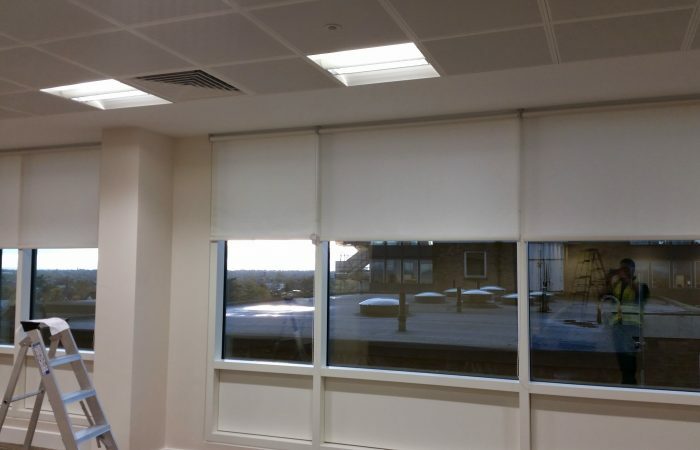 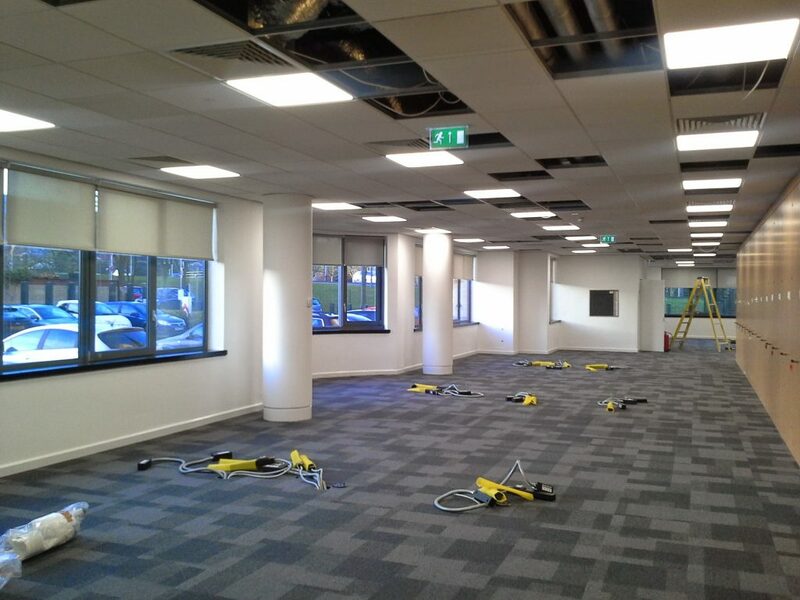 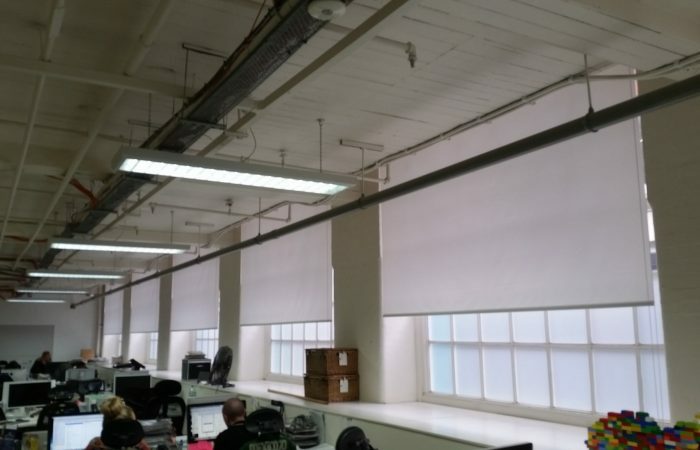 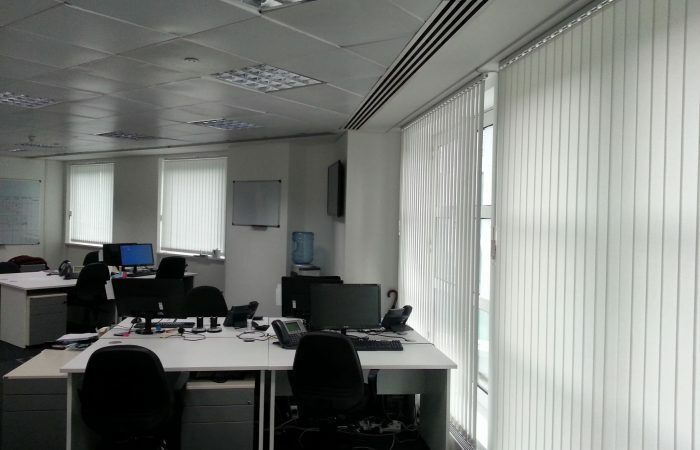 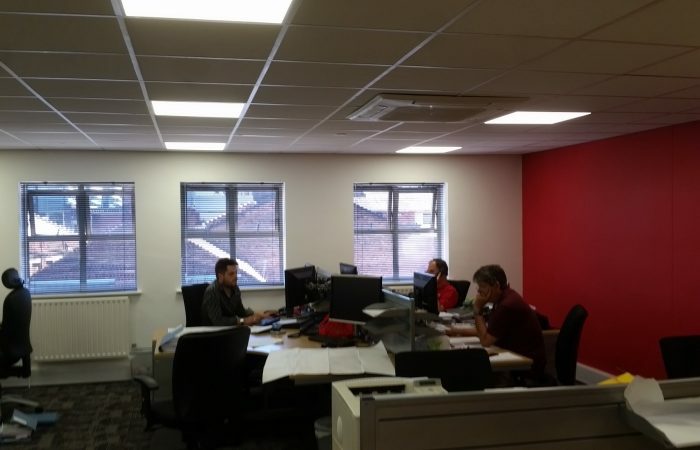 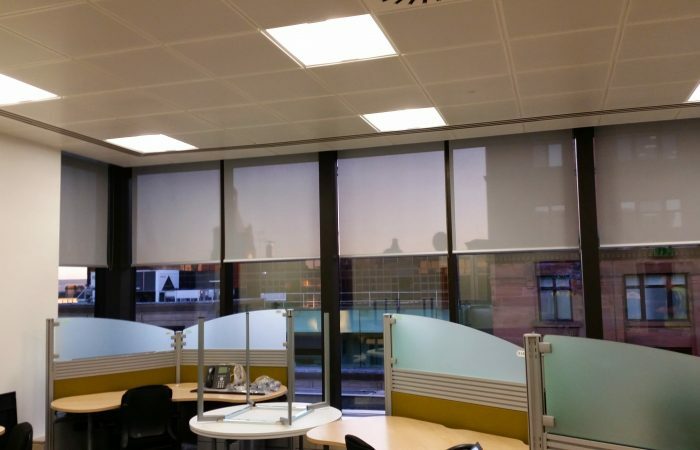 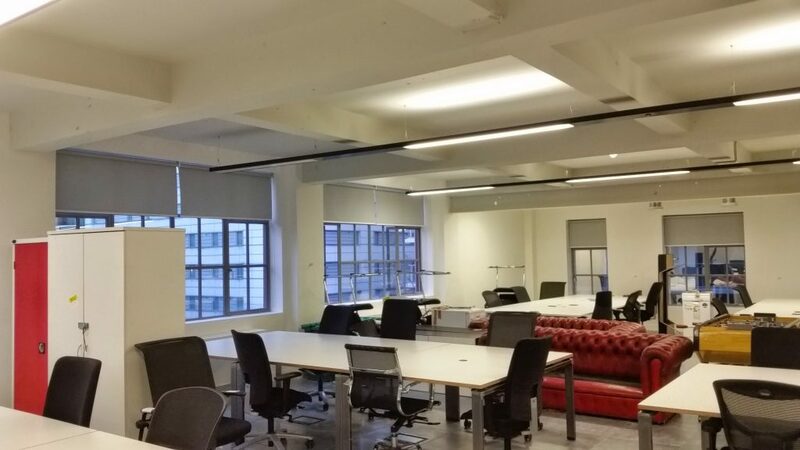 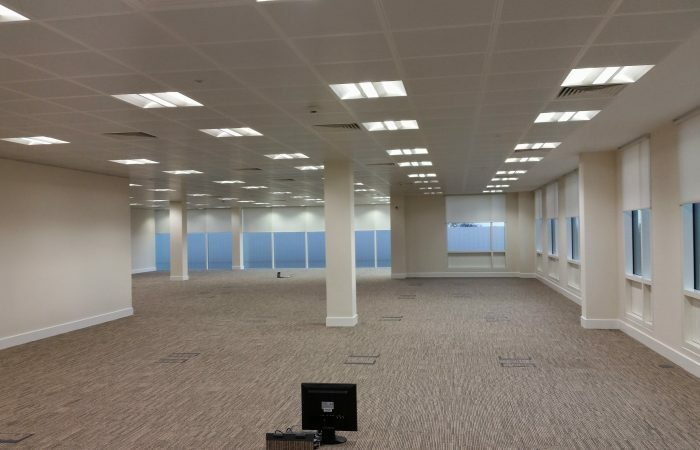 We offer an extensive range of quality window blinds for commercial properties including schools, offices, hotels, hospitals and rental properties, providing many years of maintenance free, easy to use operation. 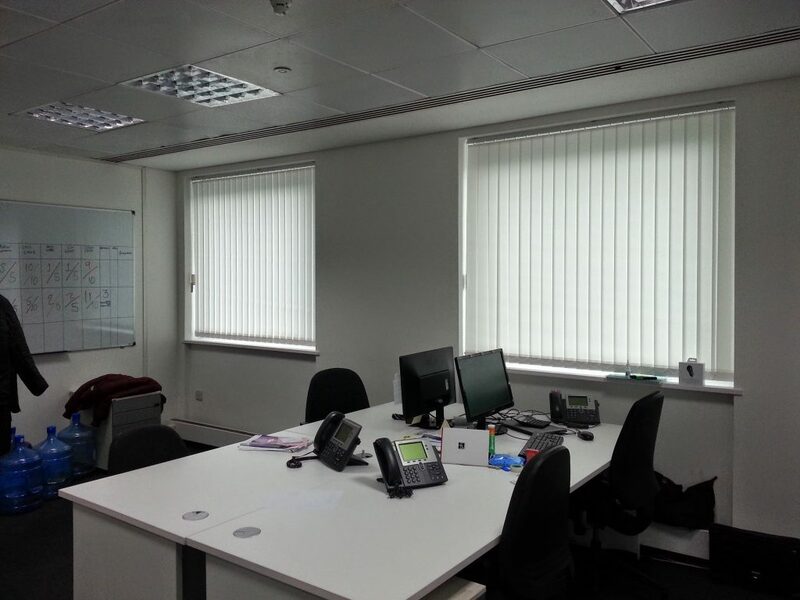 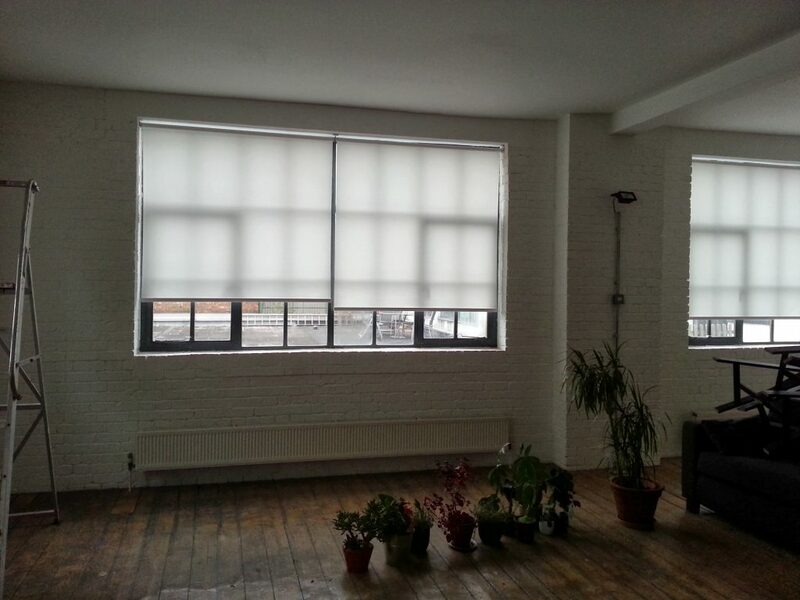 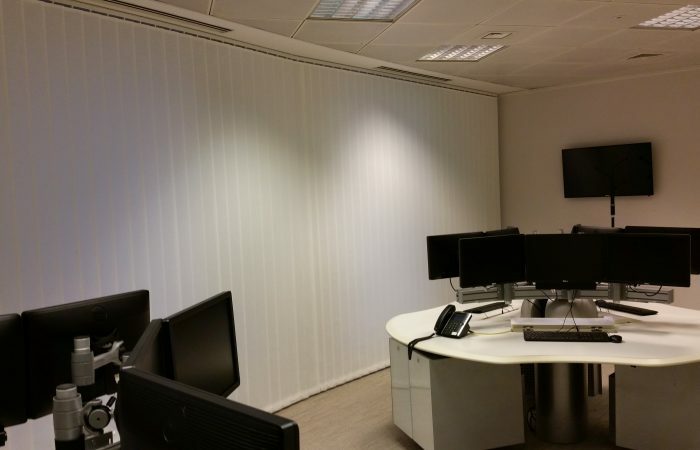 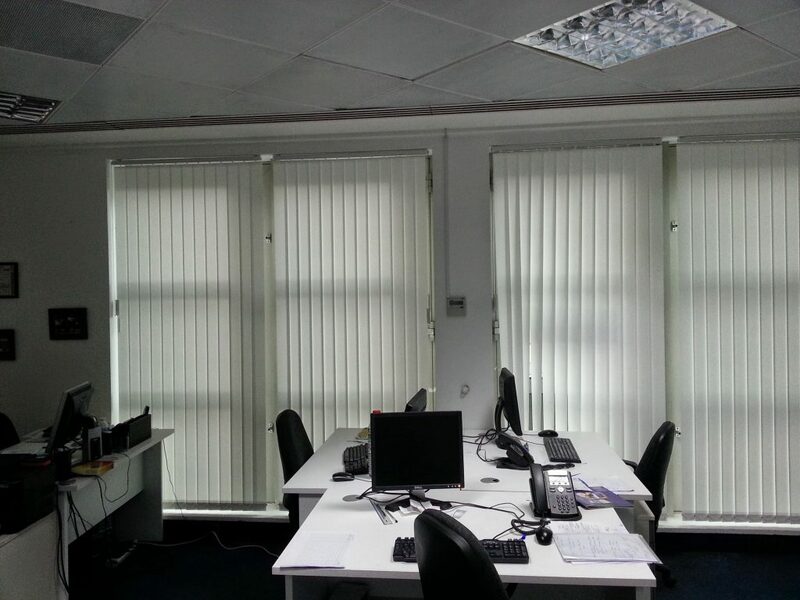 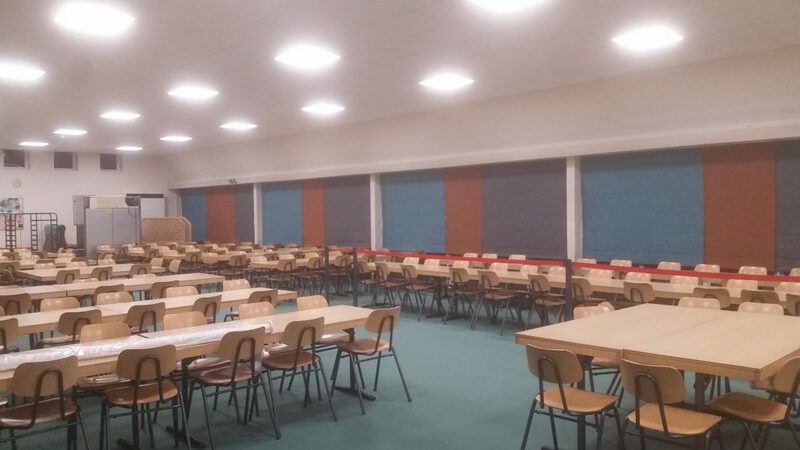 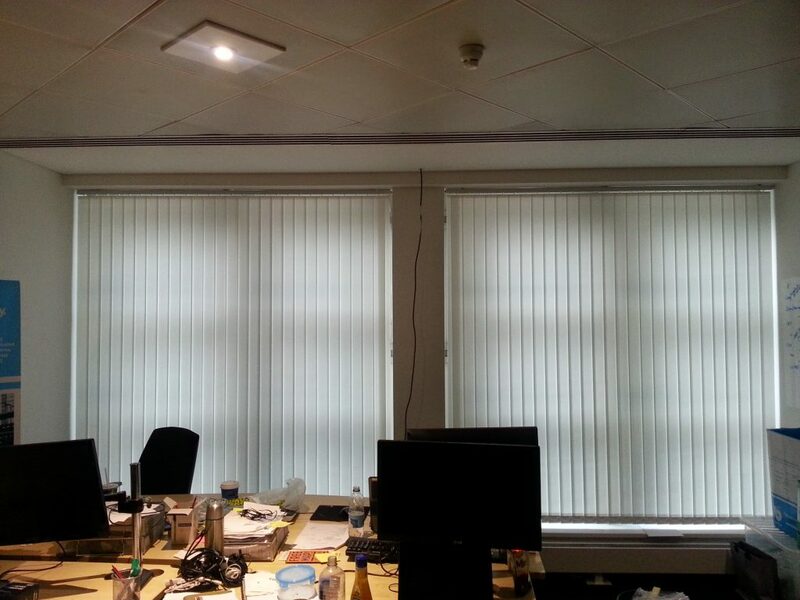 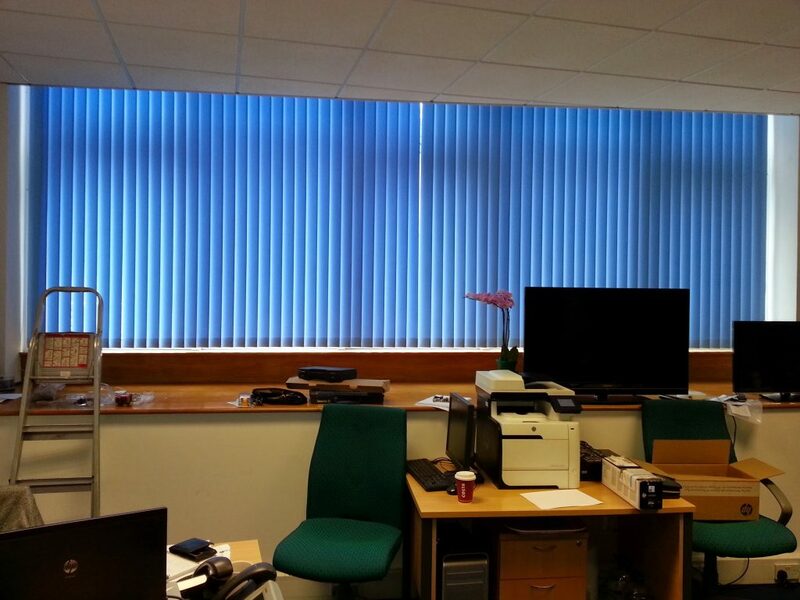 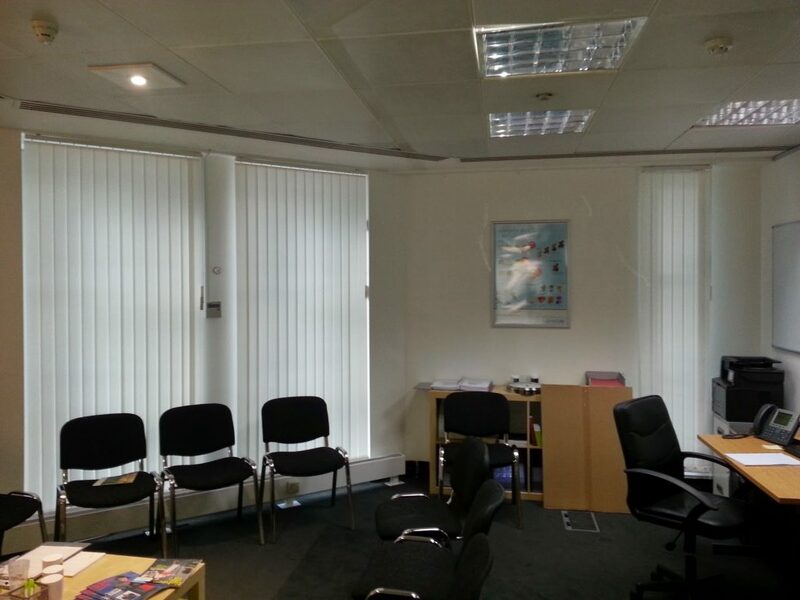 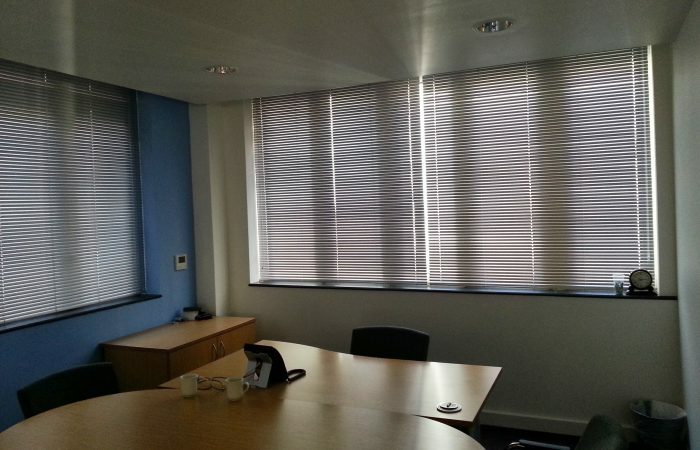 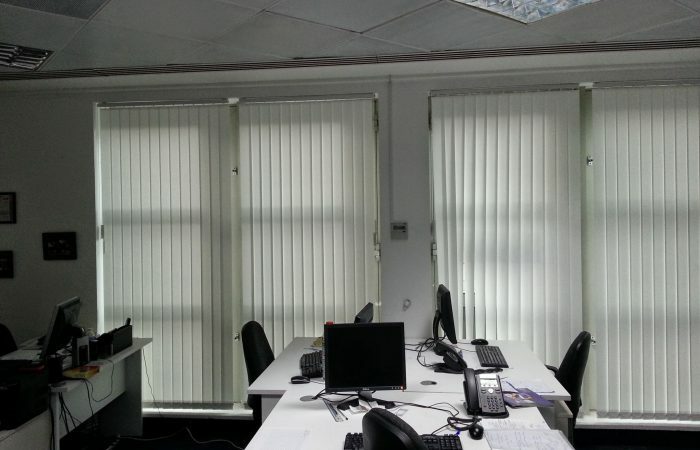 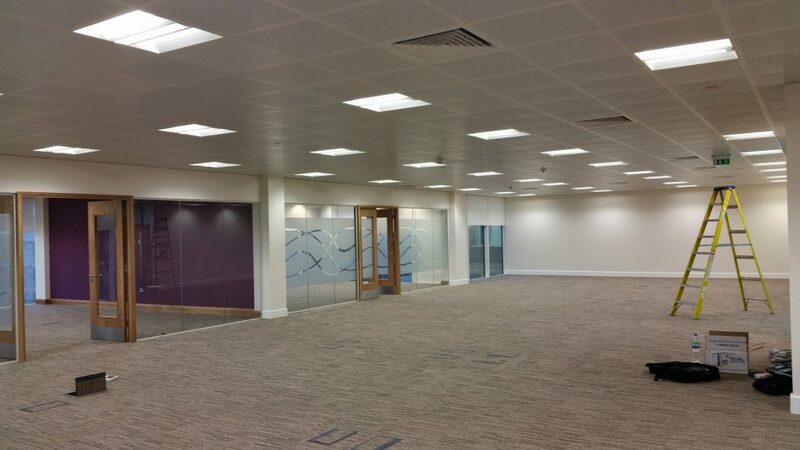 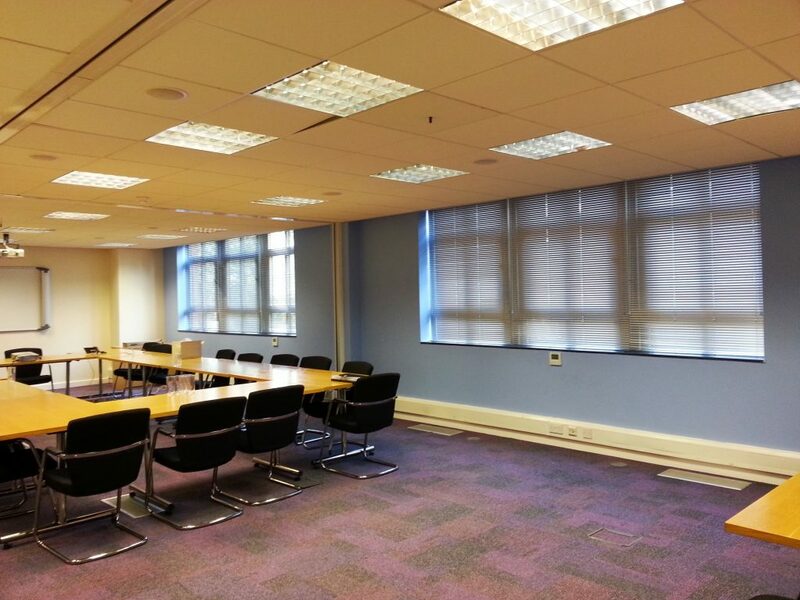 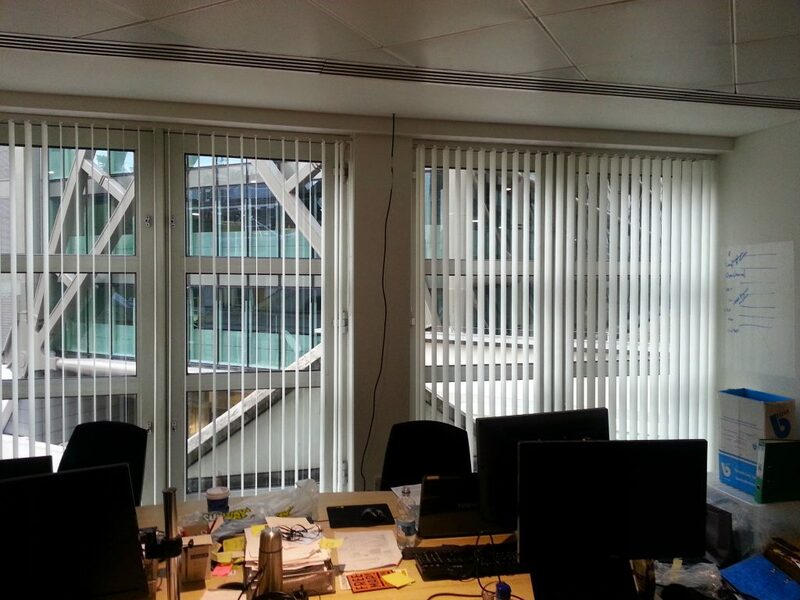 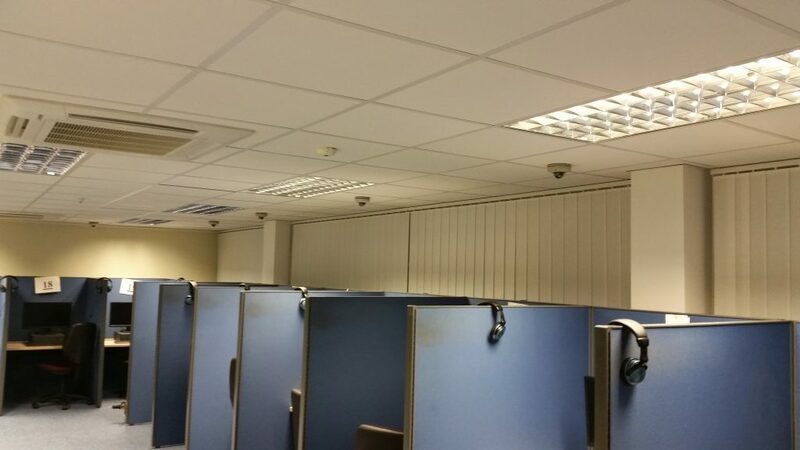 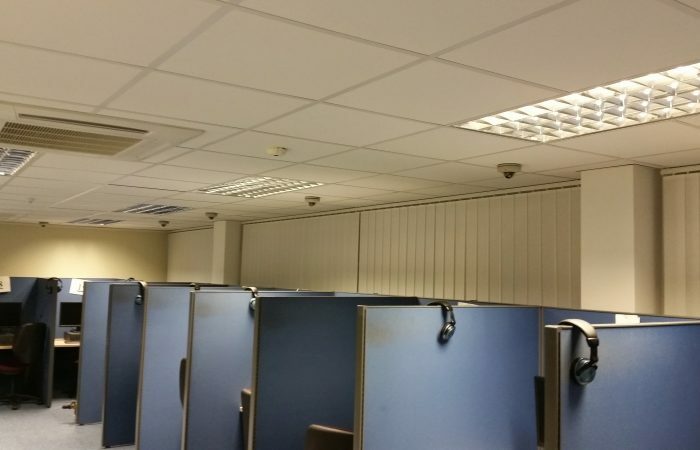 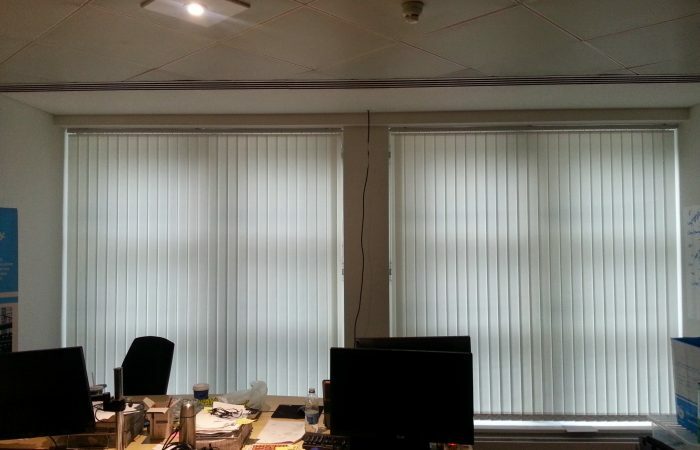 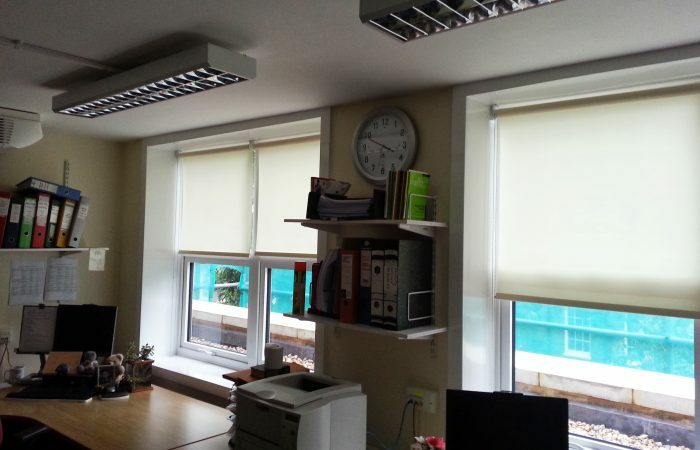 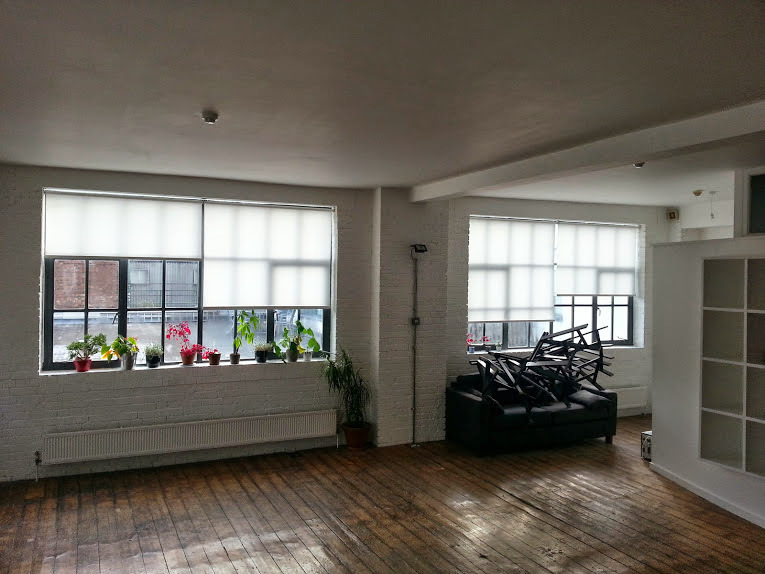 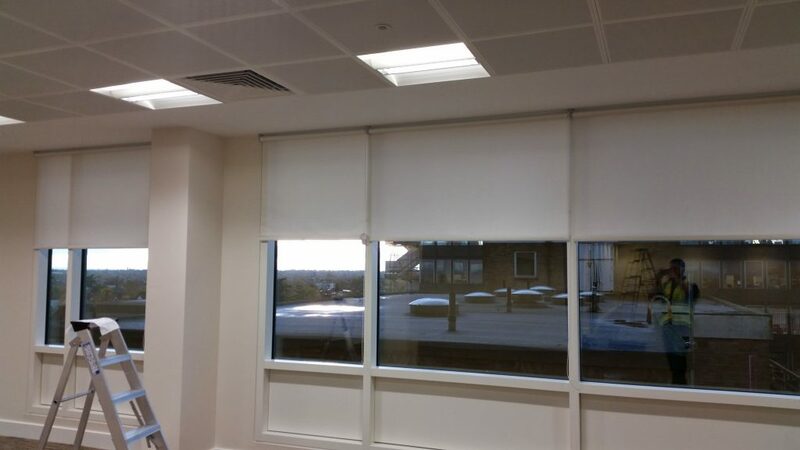 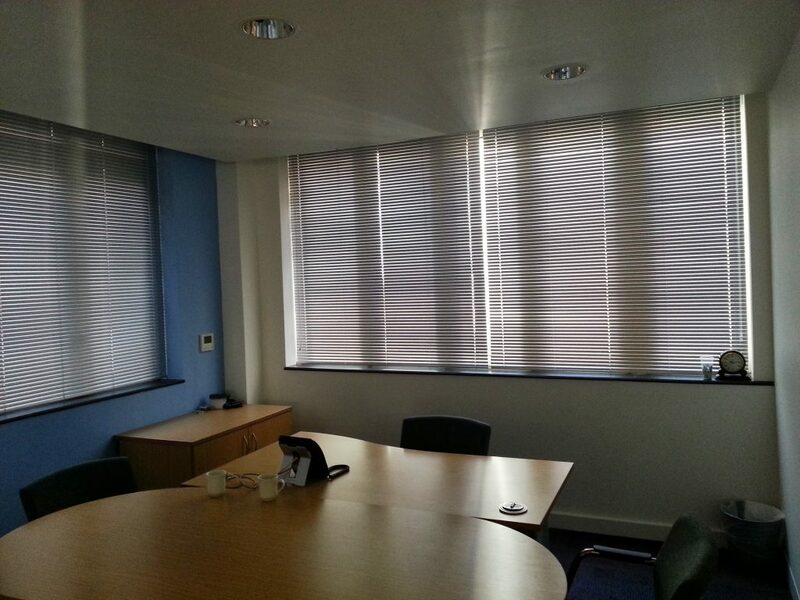 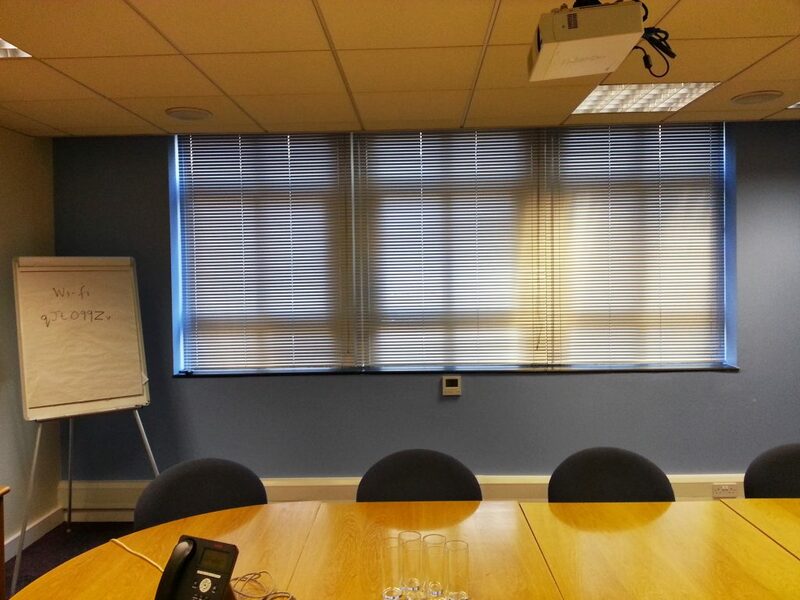 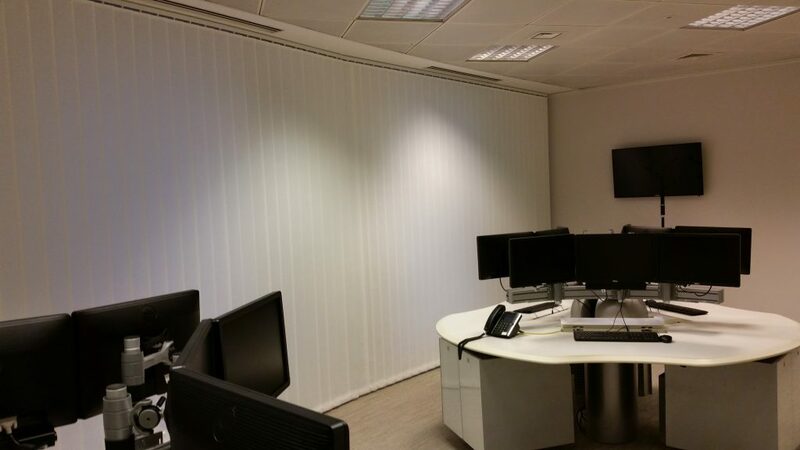 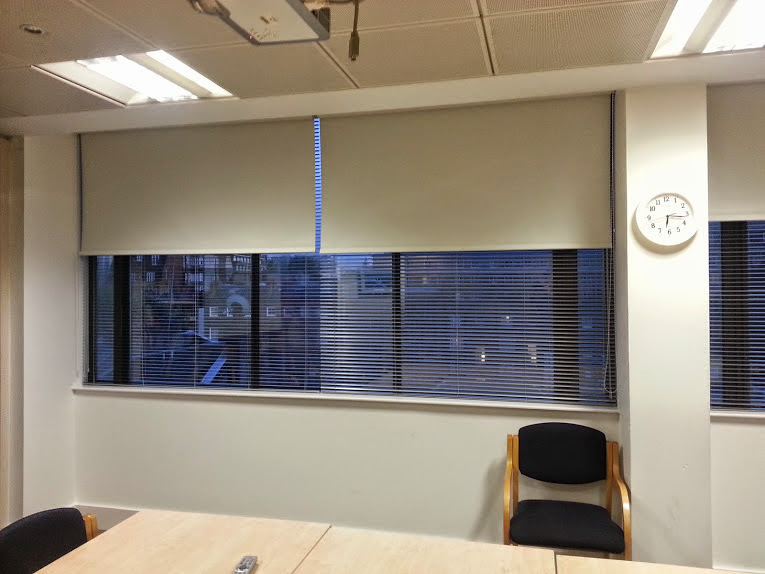 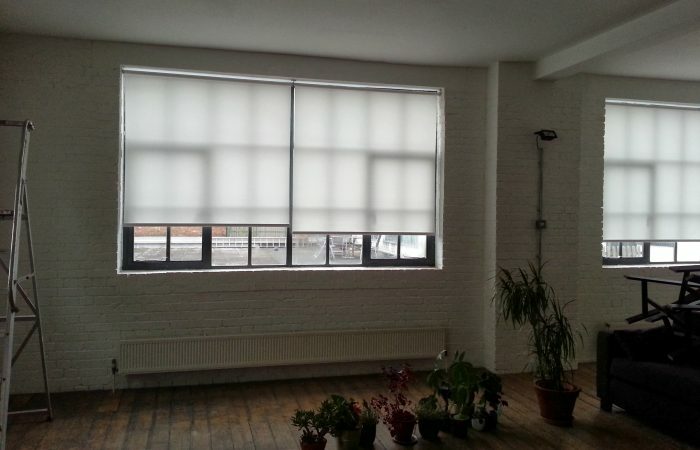 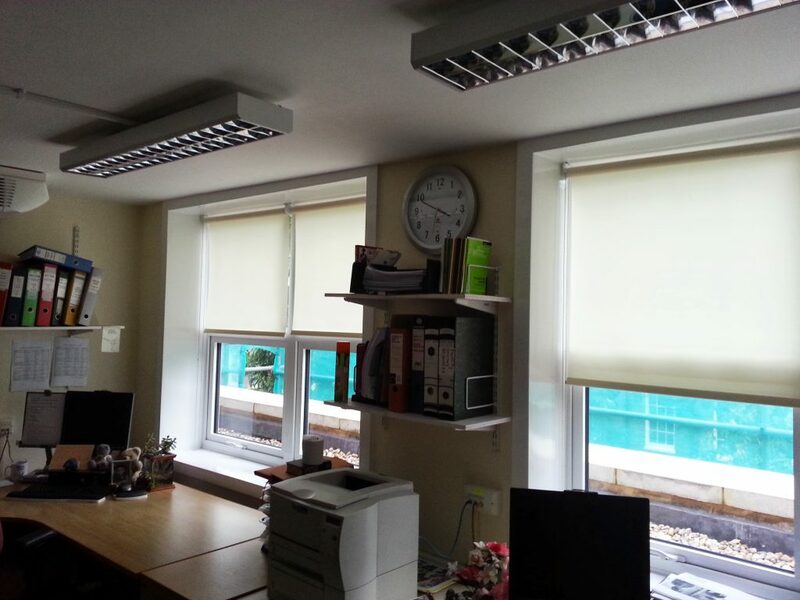 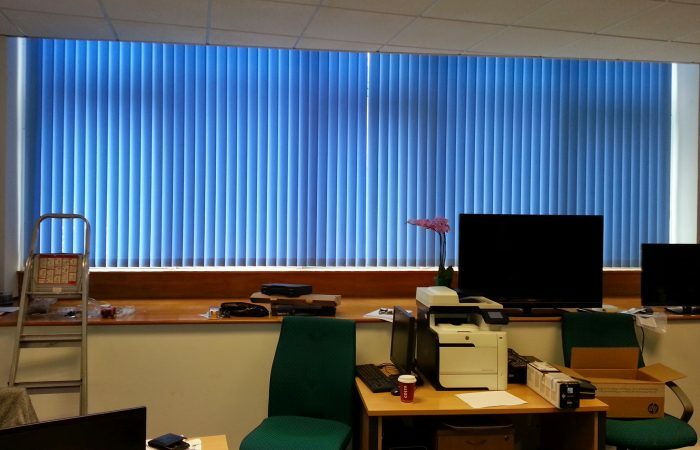 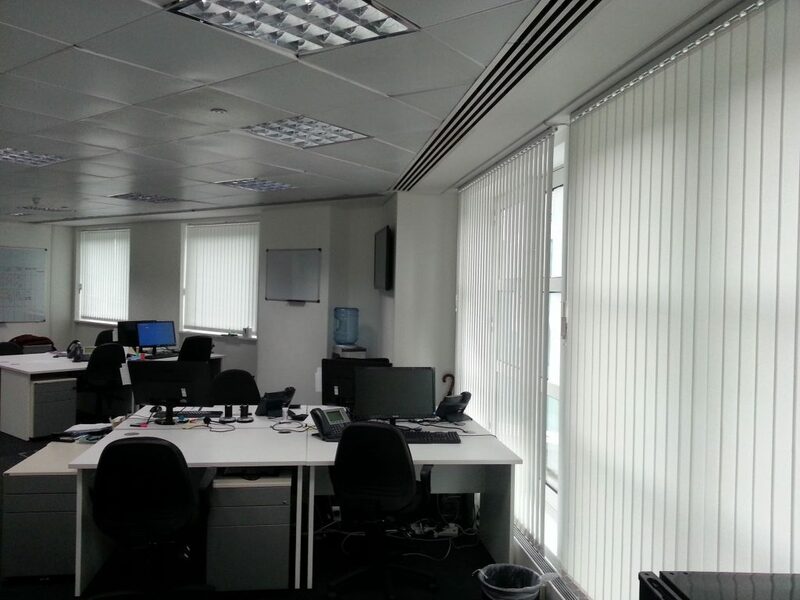 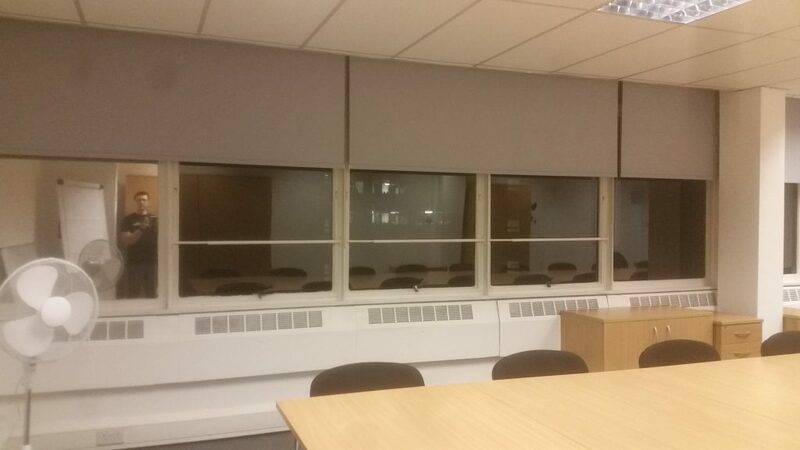 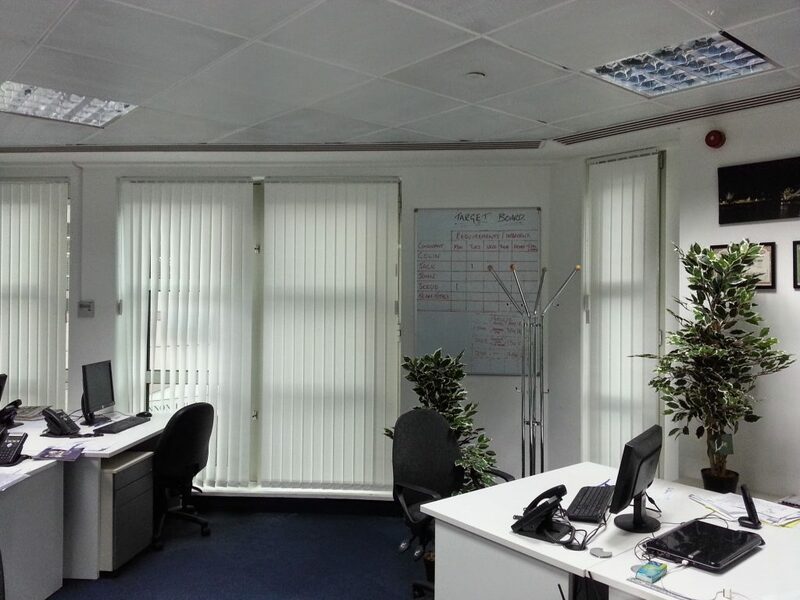 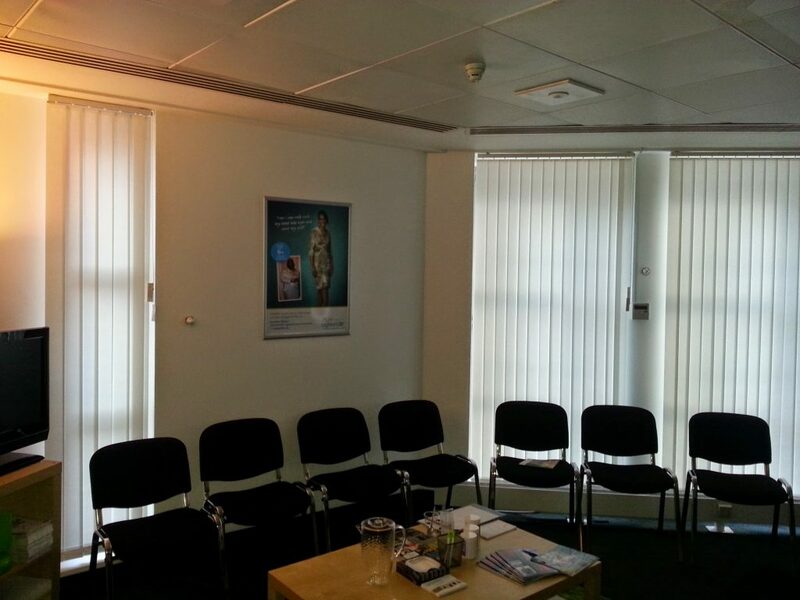 All blinds we supply for these premises follow all safety regulations and as standard all fabrics are Fire Retardant. 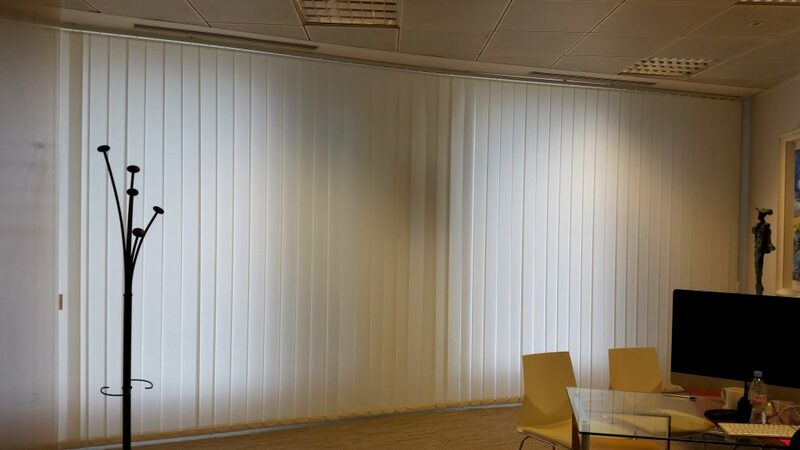 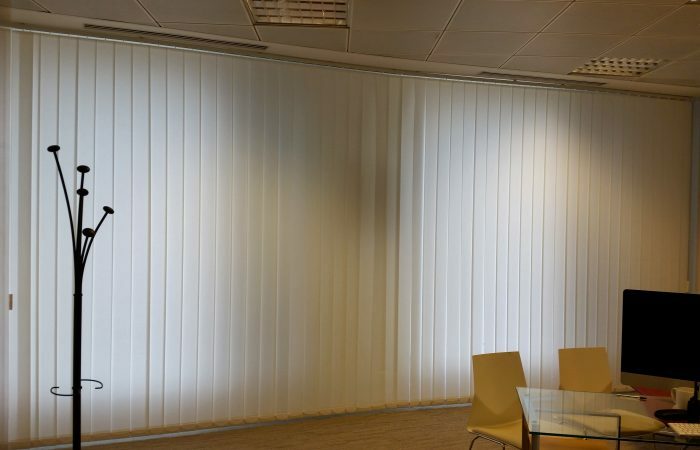 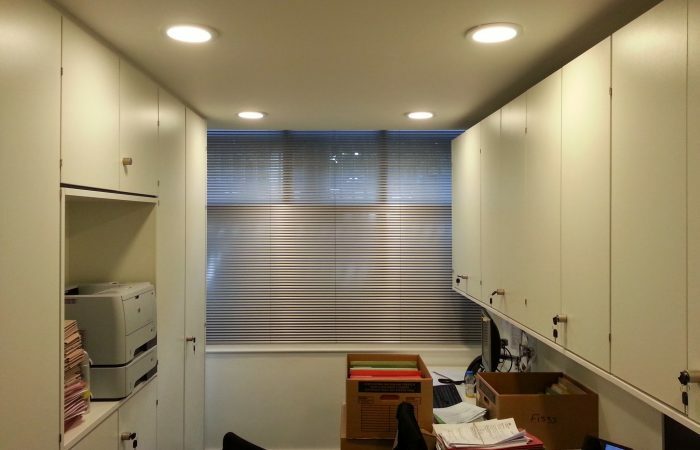 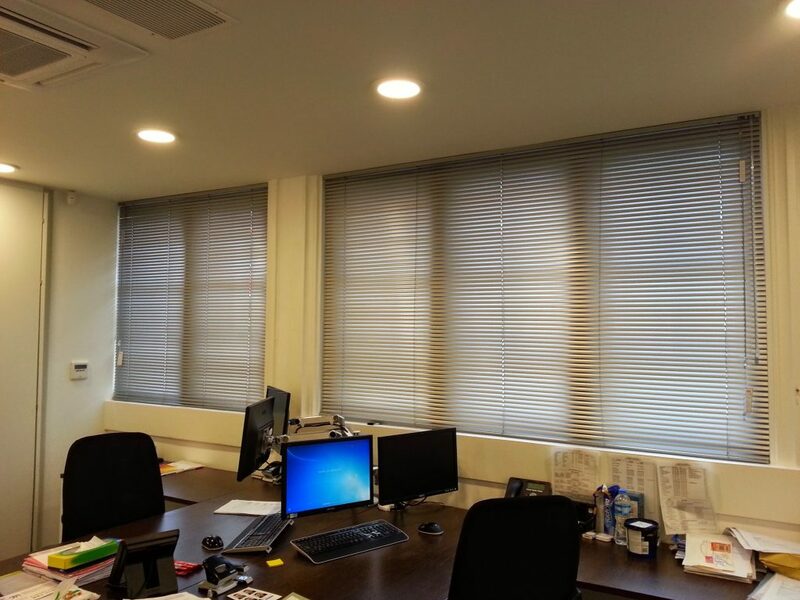 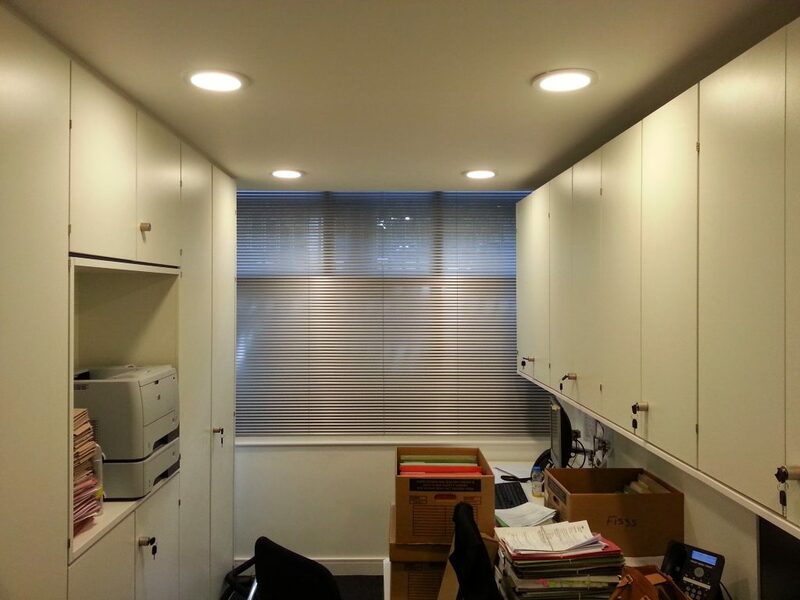 We can supply and install vertical blinds, venetian blinds, roller blinds and cassette blackout blinds by Industry leaders such as Silent Gliss, Eclipse and Louvolite. 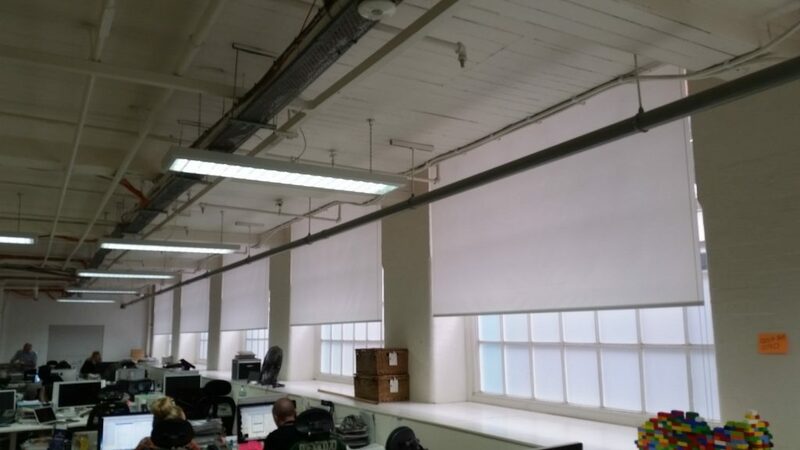 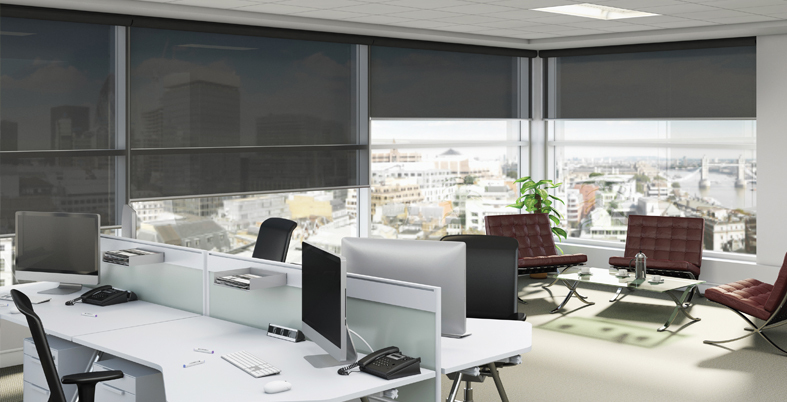 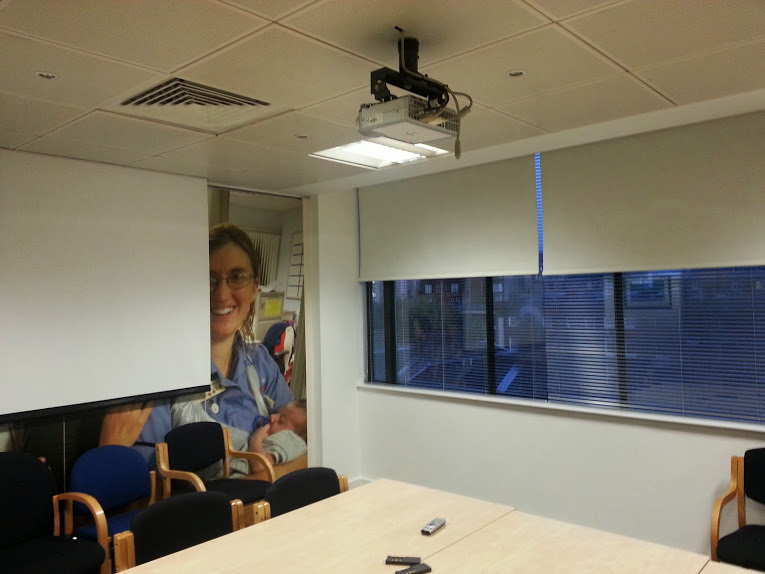 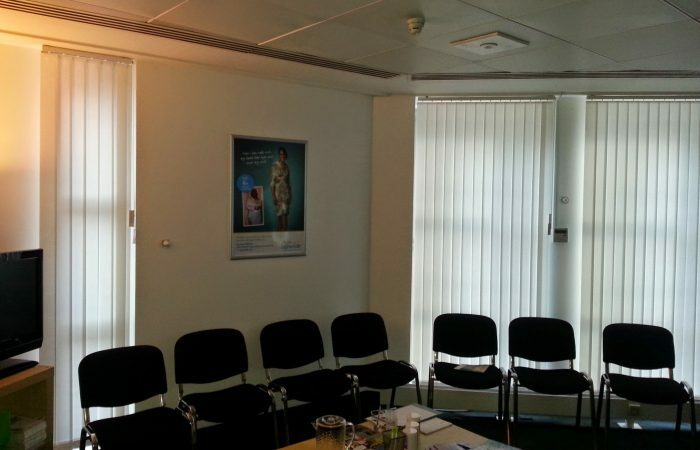 Take a look at our blind systems brochures which give detailed information about the systems and fabrics used for our commercial blinds. 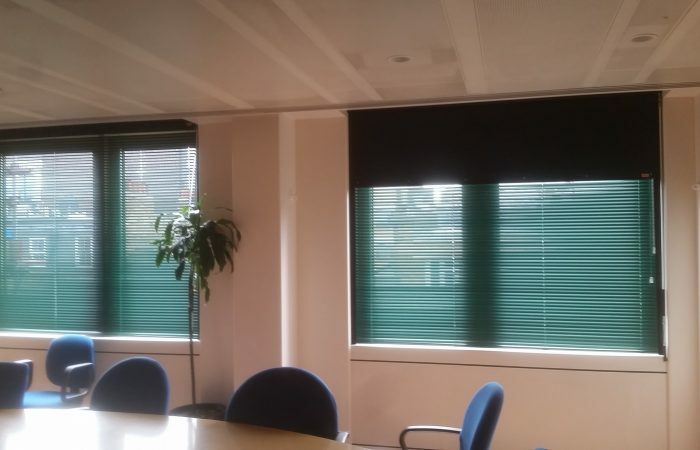 Central London EC1, Clerkenwell, Finsbury, Barbican, Farringdon EC2, Moorgate, Liverpool Street, Bank EC3, Monument, Tower Hill, Aldgate, Cannon Street EC4, Fleet Street, St Pauls, WC1, Bloomsbury, Gray's Inn, Holborn WC2, Covent Garden, Holborn, Strand, Leicester Square. 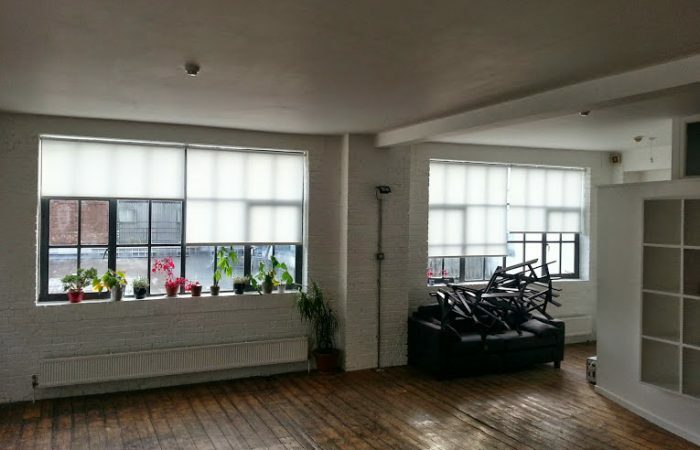 East London E1, Whitechapel, Stepney, Mile End, E2, Bethnal Green, Shoreditch, E3, Bow, Bromley-by-Bow, E4, Chingford, Highams Park, E5,Clapton, E6, East Ham, E7, Forest Gate, Upton Park, E8, Hackney, Dalston, E9, Hackney, Homerton, E10, Leyton, E11, Leytonstone, E12, Manor Park, E13, Plaistow, E14, Poplar, Millwall, Isle of Dogs, Docklands E15, Stratford, West Ham, E16, Canning Town, North Woolwich, Docklands E17, Walthamstow, E18, South Woodford, IG1, Ilford, IG2, Gants Hill, IG3, Seven Kings, IG4, Redbridge, IG5, Clayhill, IG6, Barkingside, IG7, Hainalt, IG8, Woodford Green, IG11, Barking, RM1, Romford, RM2, Gidea Park, RM3, Harold Wood, RM4, Havering-atte-Bower, RM5, Collier Row, RM6, Chadwell Heath, RM7, Rush Green, RM8, Becontree Heath, RM9, Becontree, RM10, Dagenham, RM11, Emerson Park, RM12, Hornchuch, RM13, Rainham, RM14, Upminster. 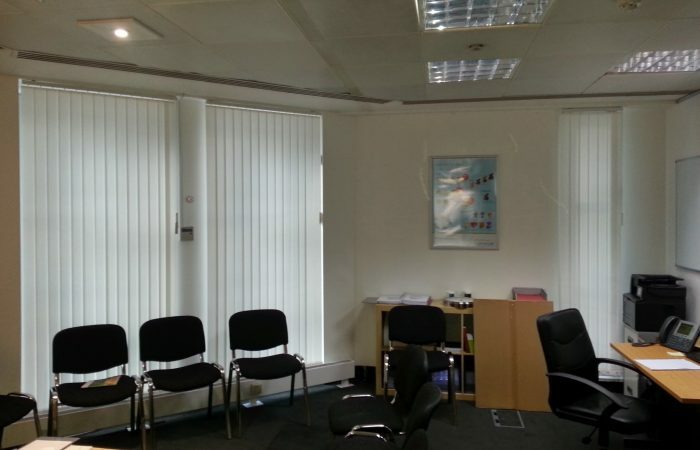 North London N1, Islington, Barnsbury, Canonbury, Kings Cross N2, East Finchley, N3, Finchley Central, N4, Finsbury Park, Manor House, N5, Highbury, N6, Highgate, N7, Holloway, N8, Hornsey, Crouch End, N9, Lower Edmonton, N10, Muswell Hill, N11, Friern Barnet, New Southgate, N12, North Finchley, Woodside Park, N13, Palmers Green, N14, Southgate, N15, Seven Sisters, N16, Stoke Newington, Stamford Hill, N17, Tottenham, N18, Upper Edmonton, N19, Archway, Tufnell Park, N20, Whetstone, Totteridge, N21, Winchmore Hill, N22, Wood Green, Alexandra Palace, EN1, Enfield, EN2, Enfield Town, EN3, Ponders End, EN4, Cockfosters, EN5 Barnet, HA0 Wembley, HA1, Harrow on the Hill, HA2, Harrow, HA3, Wealdstone, HA4 Ruislip, HA5, Pinner, HA6, Northwood, HA7, Stanmore, HA8, Edgeware, HA9, Brent, NW1, Regents Park, Camden Town, NW2, Cricklewood, Neasden NW3, Hampstead, Swiss Cottage, NW4, Hendon, Brent Cross, NW5, Kentish Town, NW6, West Hampstead, Kilburn, Queens Park, NW7, Mill Hill, NW8, St Johns Wood, NW9, Kinsbury, Colindale, NW10, Willesden, Harlesden, Kensal Green, NW11, Golders Green, Hampstead Gdn Suburb, UB1, Southall, UB2, Norwood Green, UB3, Hayes, UB4, Yeading, UB5, Northolt, UB6, Greenford, UB7, West Drayton, UB8, Uxbridge, UB10, Hillingdon. 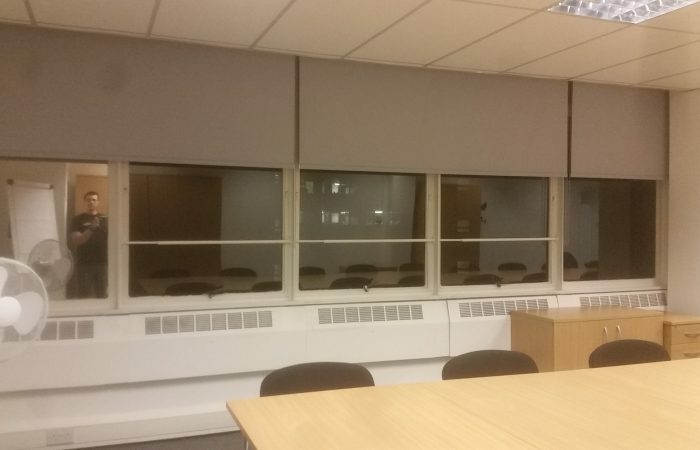 South East London SE1, Waterloo, Bermondsey, SE2, Abbey Wood, SE3, Blackheath, Westcombe, SE4, Brockley, Crofton Park, SE5, Camberwell, SE6, Catford, Hither Green, SE7, Charlton, SE8, Deptford, SE9, Eltham, Mottingham, SE10, Greenwich, SE11, Lambeth, SE12, Lee, Grove Park, SE13, Lewisham, Hither Green, SE14, New Cross, SE15, Peckham , SE16, Rotherhithe South, SE17, Walworth, Elephant & Castle, SE18, Woolwich, Plumstead, SE19, Upper Norwood, SE20, Penge, Anerley, SE21, Dulwich, SE22, East Dulwich, SE23, Forest Hill, SE24, Herne Hill, SE25, South Norwood, SE26, Sydenham, SE27, West Norwood, Tulse Hill, SE28, Thamesmead. 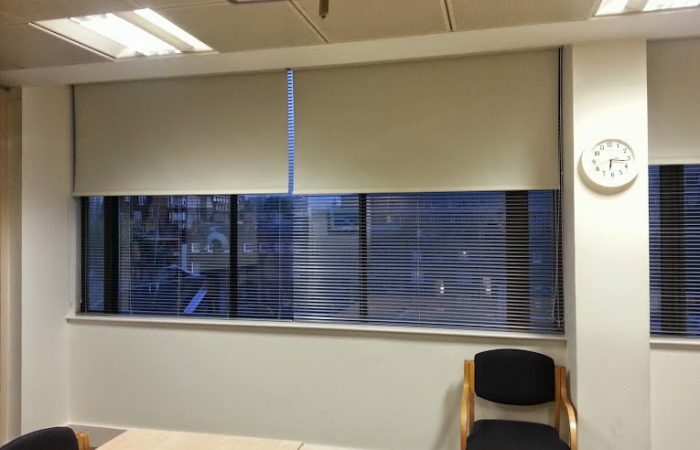 West London W1, Mayfair, Soho, Piccadilly, Marylebone W2, Bayswater, Paddington, W3, Acton, W4, Chiswick, W5, Ealing, W6, Hammersmith, W7, Hanwell, W8, Kensington, W9, Maida Vale, Warwick, W10, Ladbroke Grove, North W11, Notting Hill, Holland Park, W12, Shepherds Bush, W13, West Ealing, W14, West Kensington. 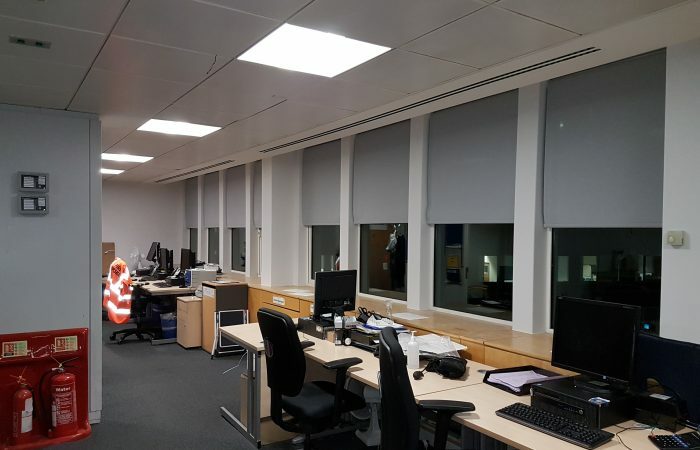 South West London SW1, Westminster, Belgravia SW2, Brixton, Streatham Hill, SW3, Chelsea, SW4, Clapham, SW5, Earls Court, SW6, Fulham, Parsons Green, SW7, South Kensington, SW8, South Lambeth, Nine Elm,s SW9, Stockwell, SW10, West Brompton, SW11, Battersea, Clapham, SW12, Balham, SW13, Barnes, Casteinau, SW14, Mortlake, East Sheen, SW15, Putney, Roehampton, SW16, Streatham, Norbury, SW17, Tooting, SW18, Wandsworth, SW19, Wimbledon, Merton SW20, South Wimbledon, KT1, Kingston, KT2, Norbiton, KT3, New Malden, KT4, Worcester Park, KT5, Berrylands, KT6 Surbiton, KT9, Chessington, TW1, Twickenham, TW2, Whitton, TW3, Hounslow, TW4, Hounslow West, TW5, Heston, TW6, Heathrow, TW7, Isleworth, TW8, Brentford, TW9, Richmond, TW10, Ham, TW11, Teddington, TW12, Hampton, TW13, Feltham, TW14, Hatton.